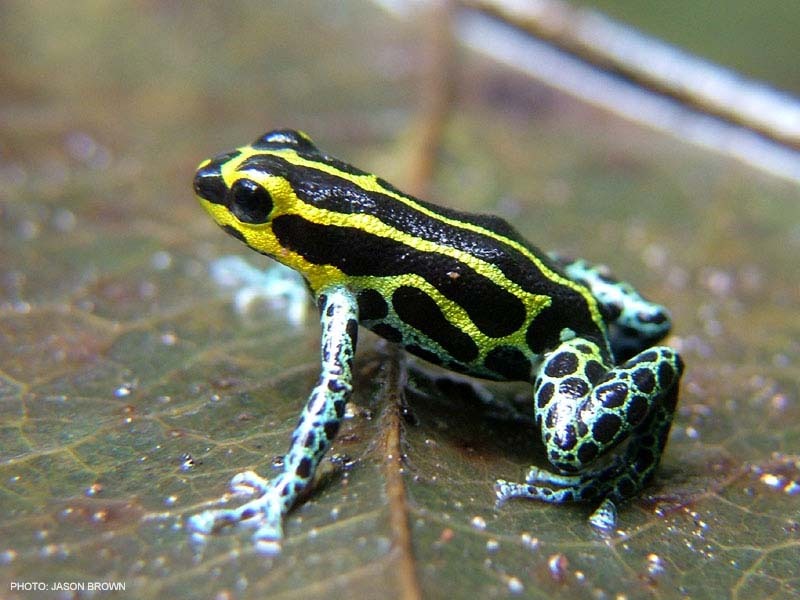 This species is widely distributed through northern San Martin and Loreto in Peru. 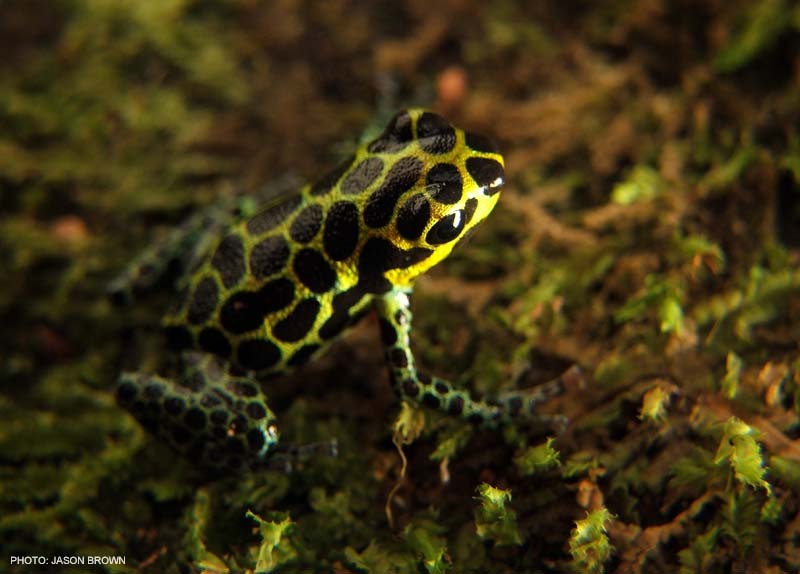 Though most widely distributed in the lowlands, many montane forms exist and can be found up to 950 m elevation. 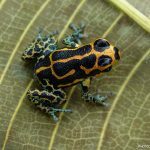 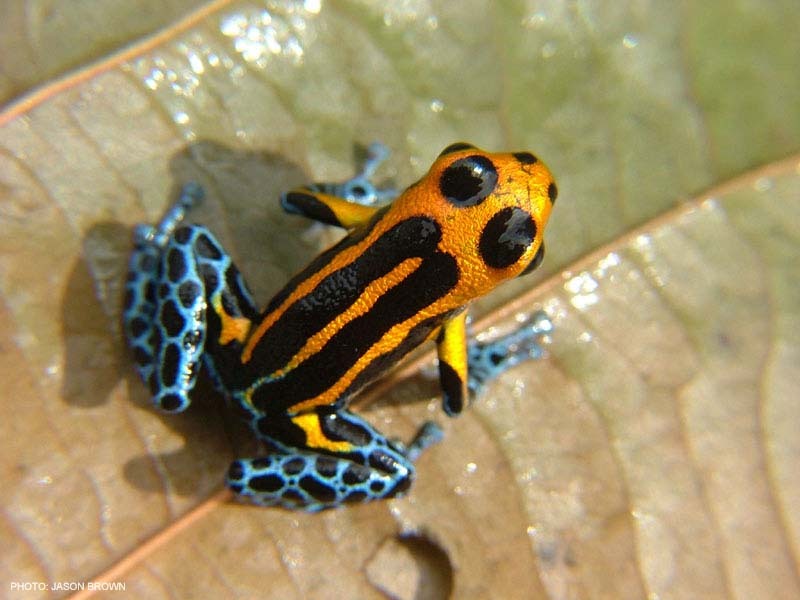 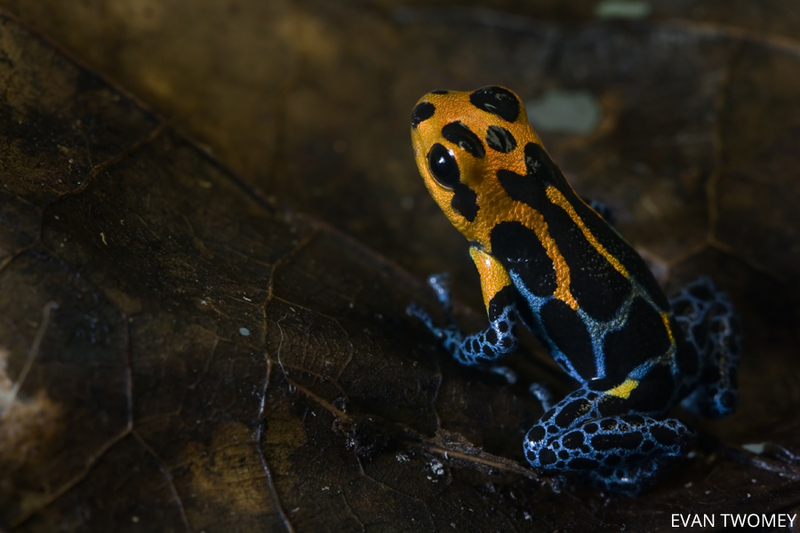 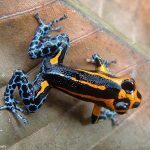 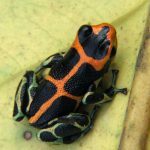 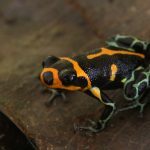 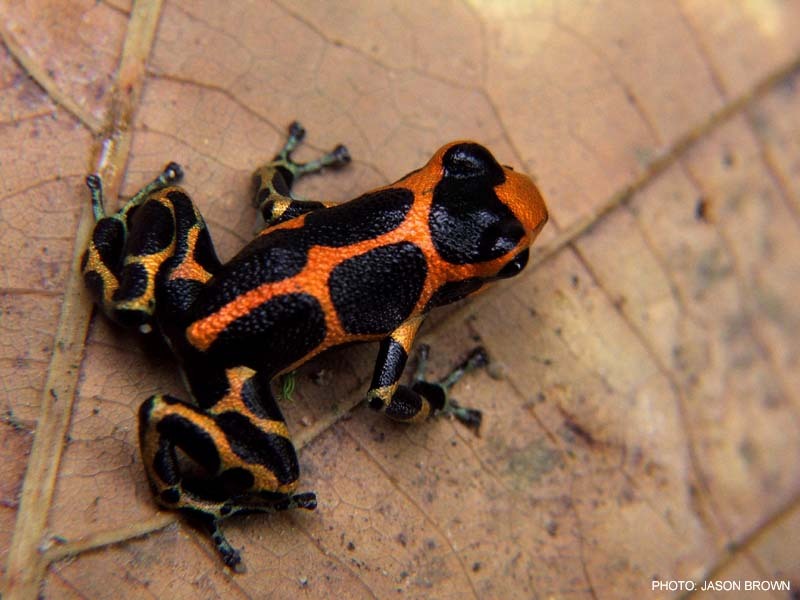 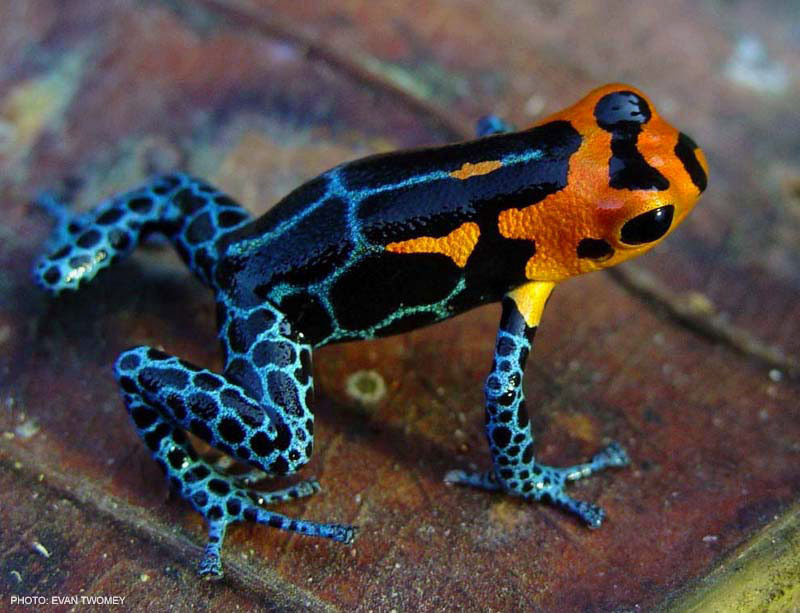 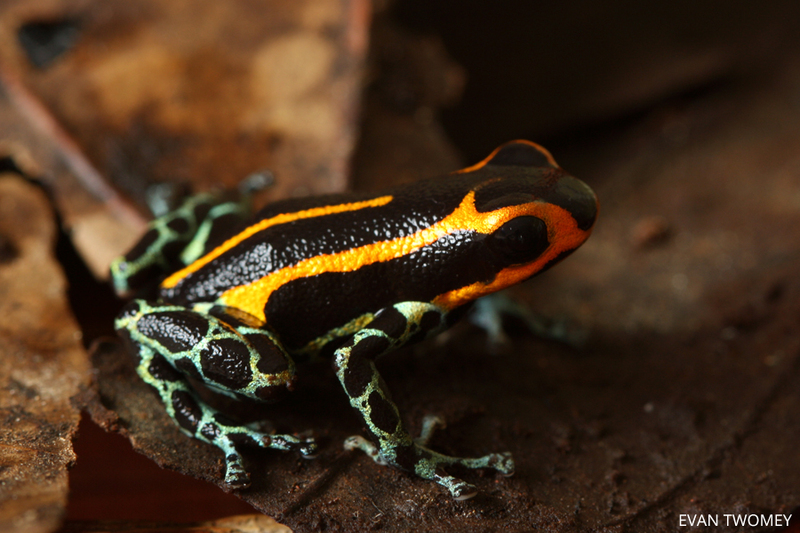 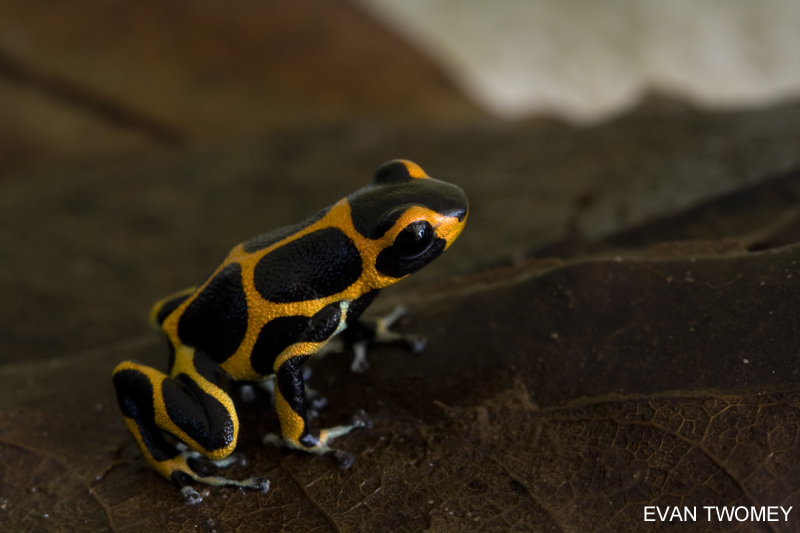 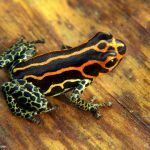 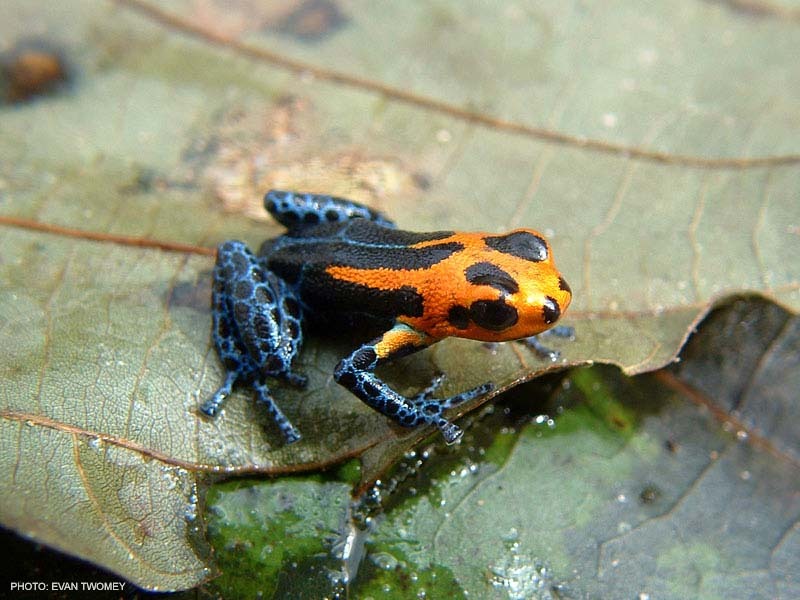 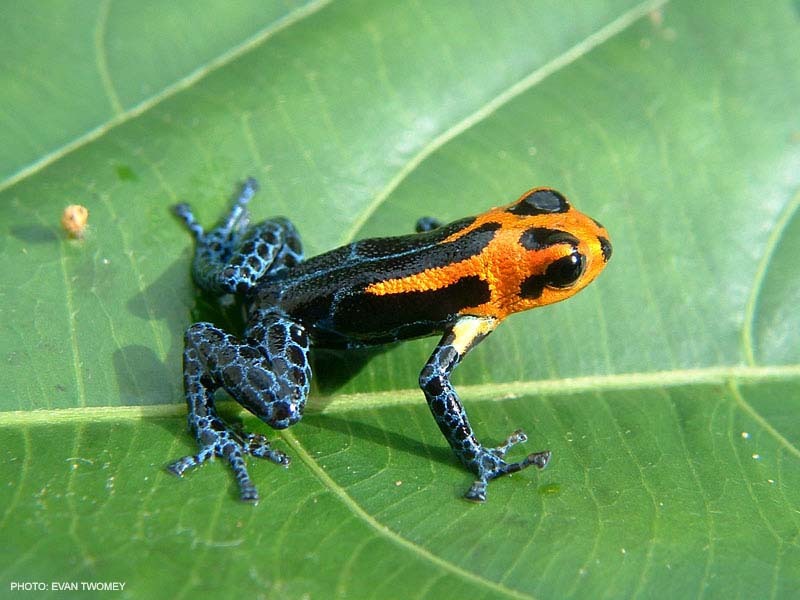 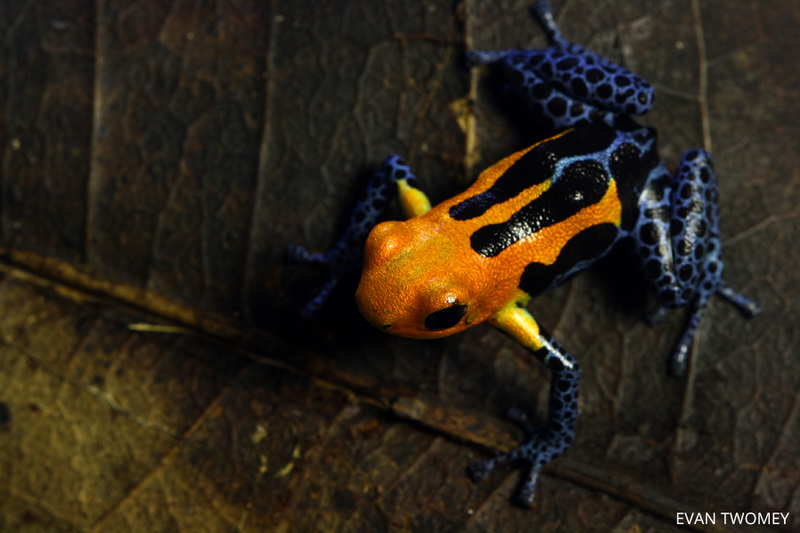 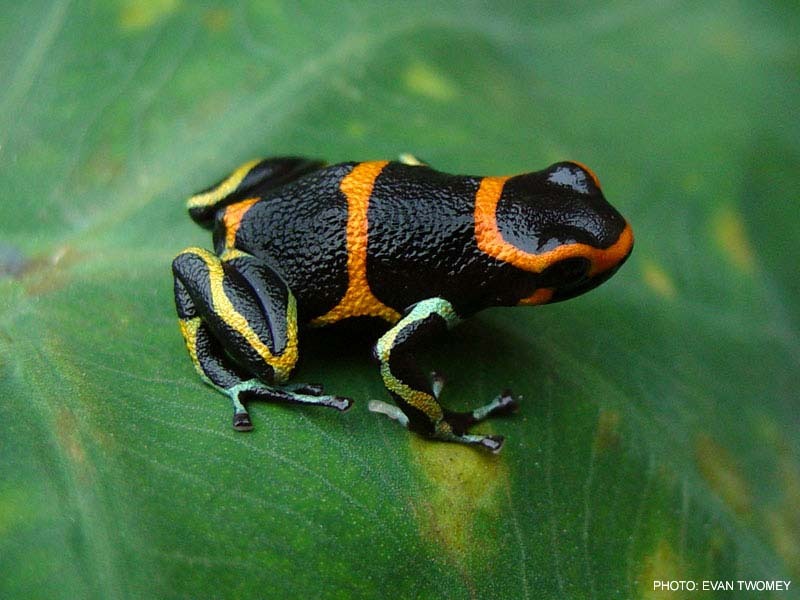 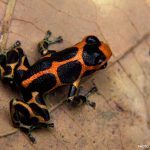 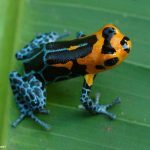 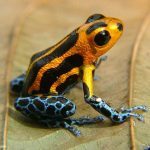 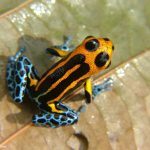 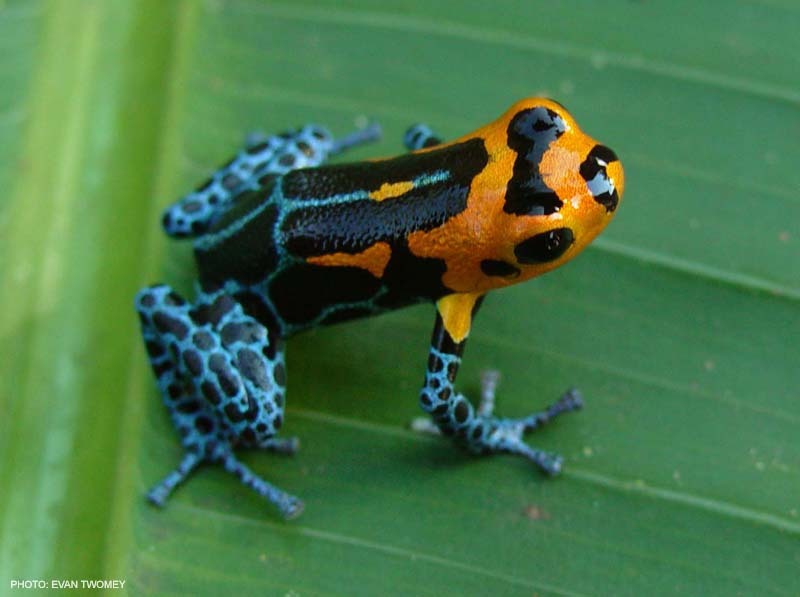 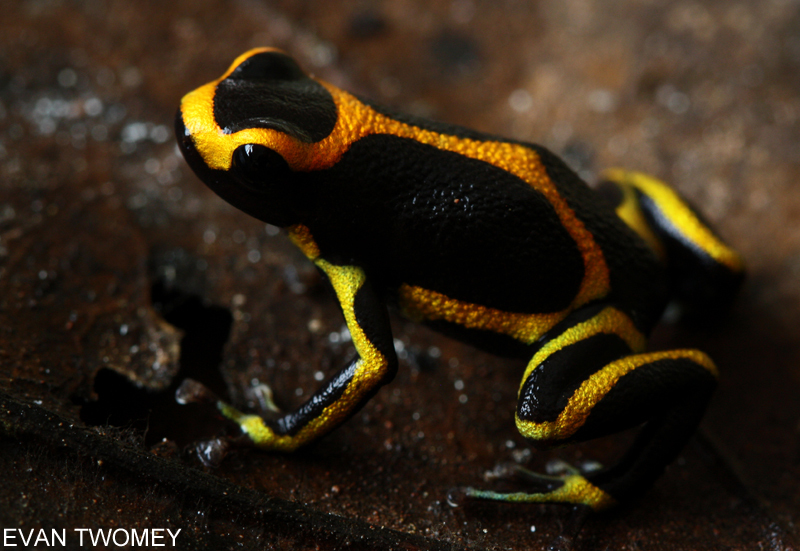 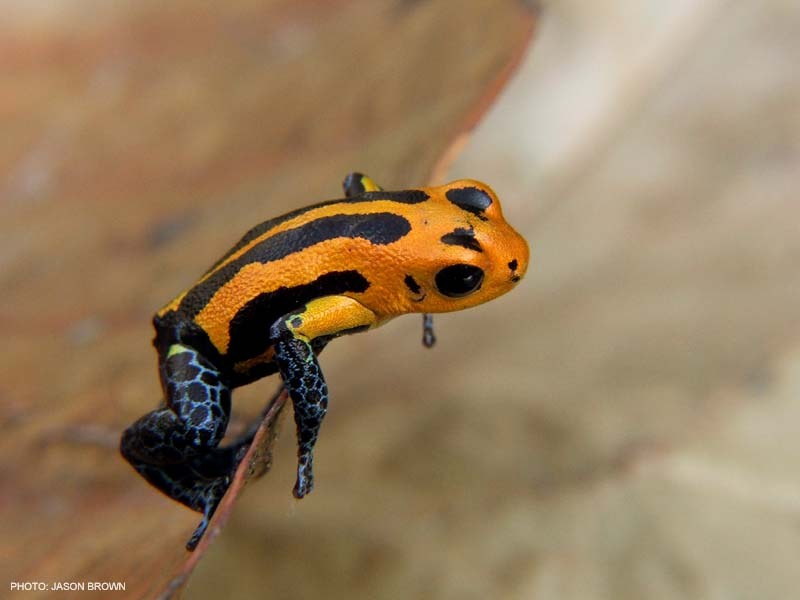 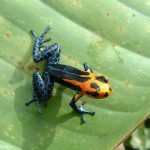 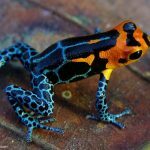 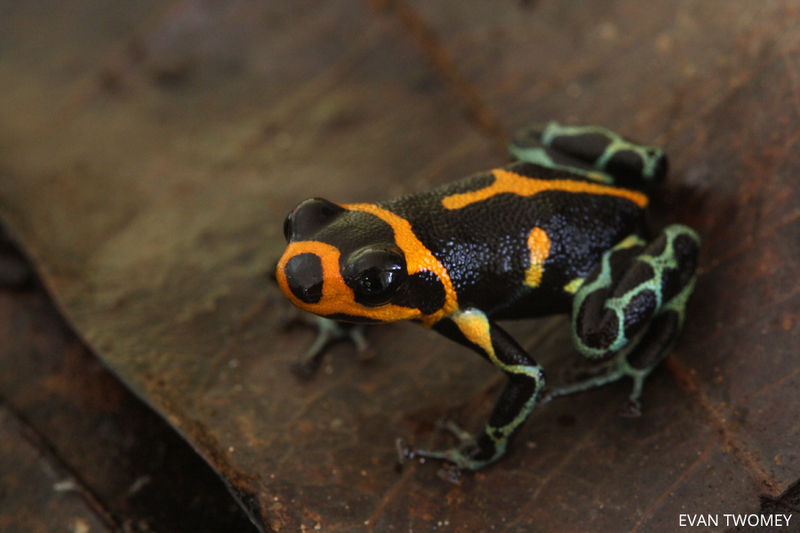 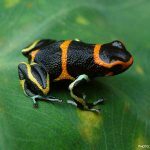 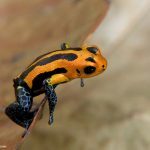 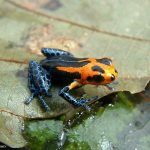 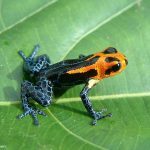 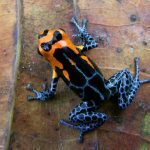 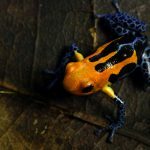 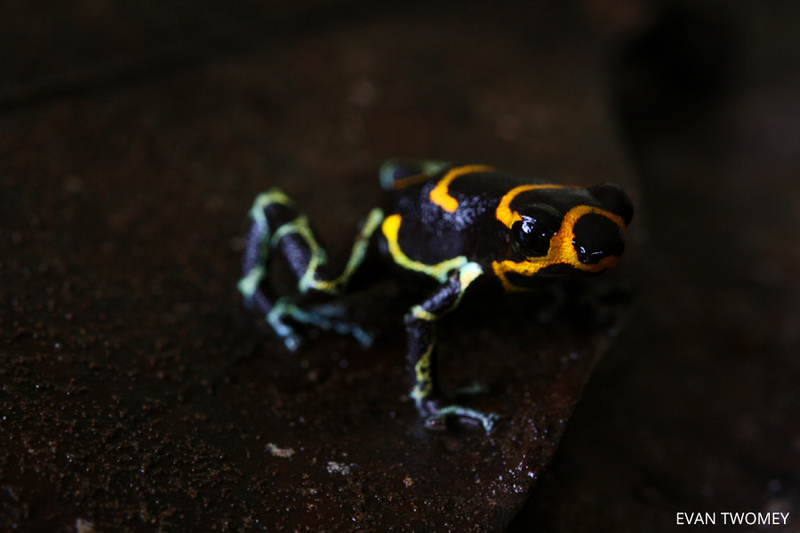 These frogs are strict phytotelm specialists, breeding in Heliconia, Dieffenbachia, and Xanthosoma. 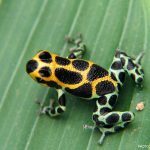 Host-plant choice seems to be a function of availability rather than preference. 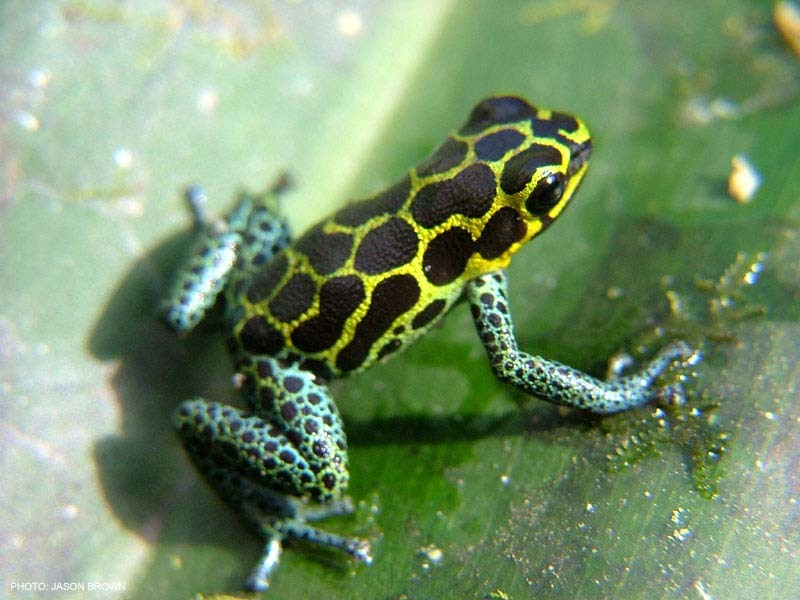 Eggs are normally laid in pairs among the bracts of the host plant. 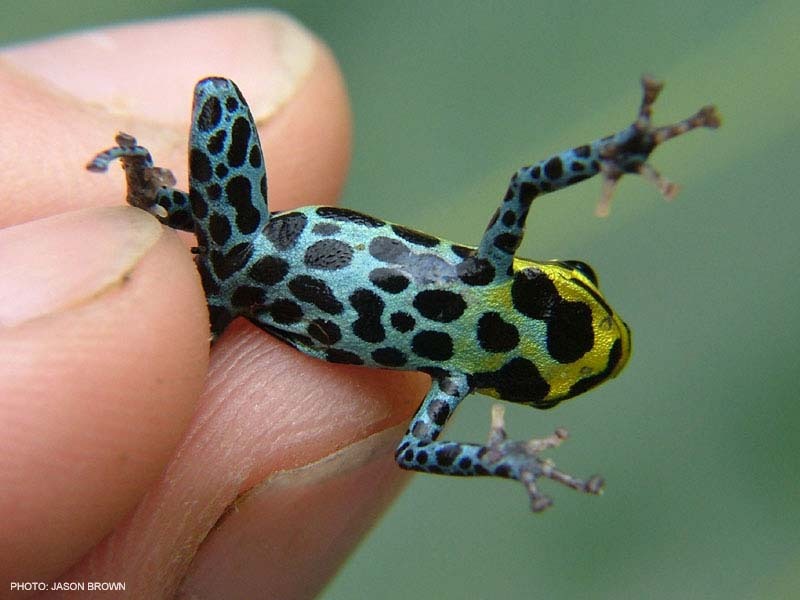 Upon hatching, tadpole transport is carried out by the male, who will later help the female locate tadpoles so she can provide the developing tadpoles with unfertilized food eggs. 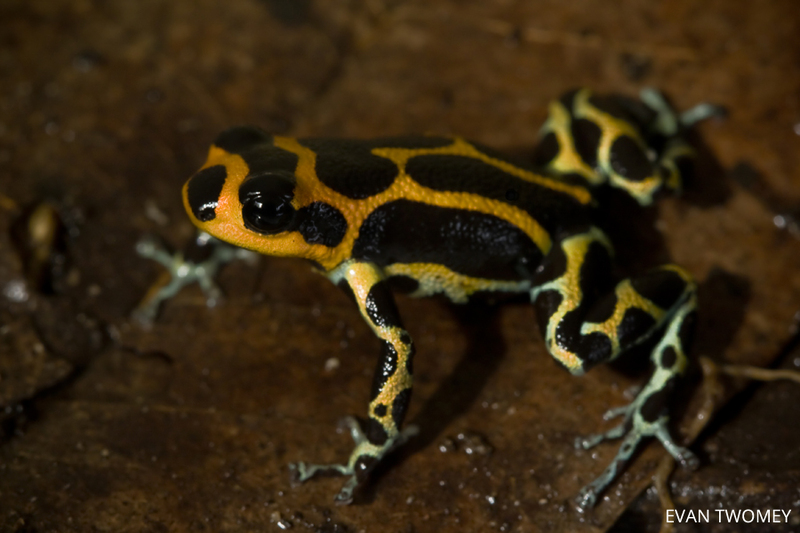 Males are highly territorial and will defend breeding resources vigorously. 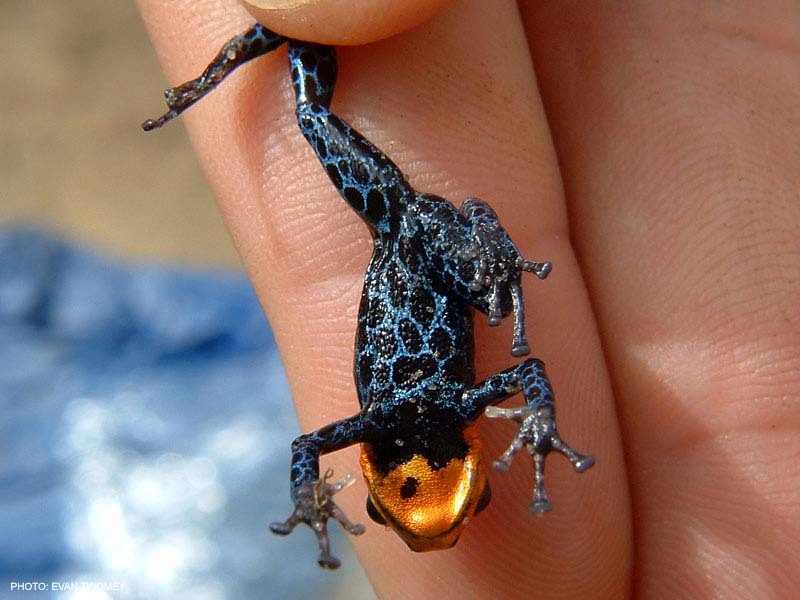 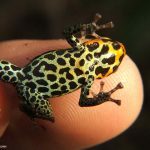 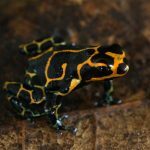 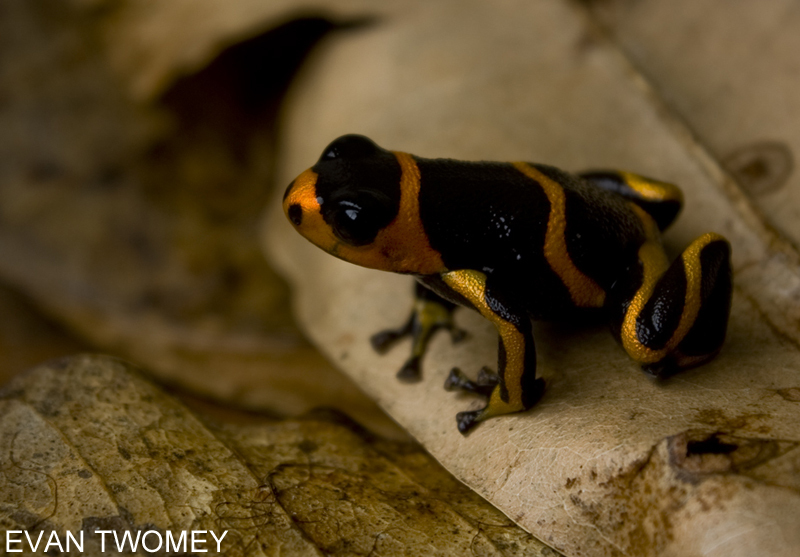 There are several morphs of R. imitator that are a conservation concern simply due to their tiny range sizes. 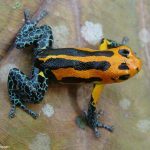 For example, a certain ‘intermedius’ morph in the Huallaga canyon may only have a range size of a few square kilometers, most of which has been or will soon be converted to cattle pastures, banana fields, or coffee farms. 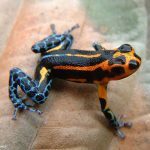 Furthermore, many imitator morphs, particularly those near Chazuta, have been devastated by smugglers for the past 10 years. 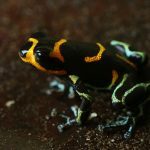 Member of the vanzolinii group. 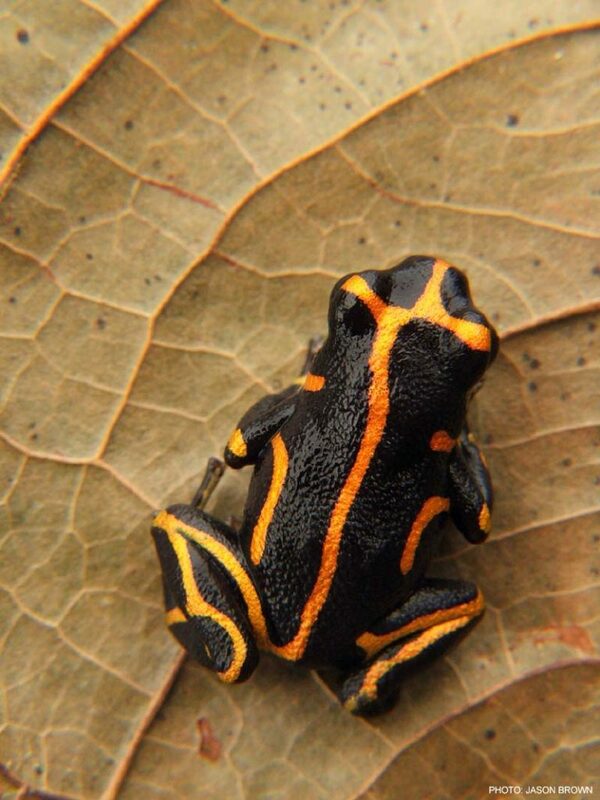 Appears to be sister to Ranitomeya vanzolinii + R. flavovittata. 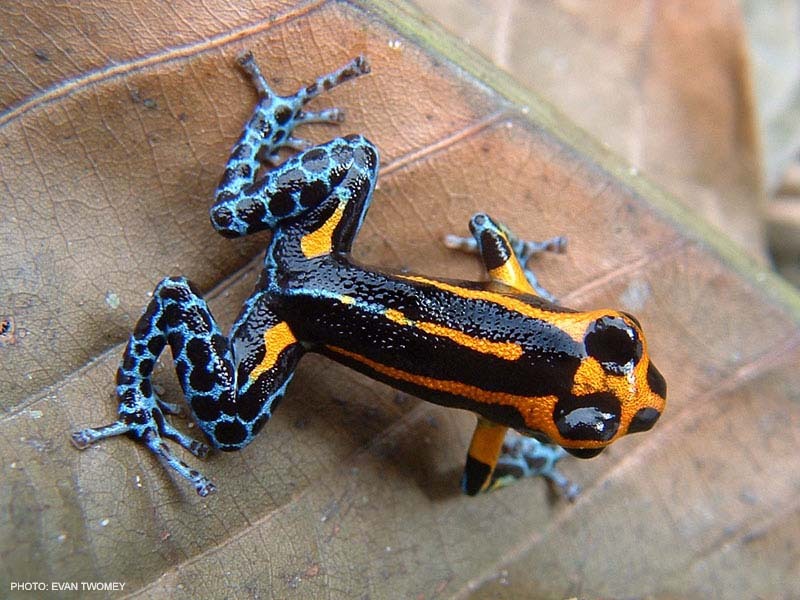 This morph is the most widely distributed imitator morph, occuring broadly throughout the lower Huallaga drainage. 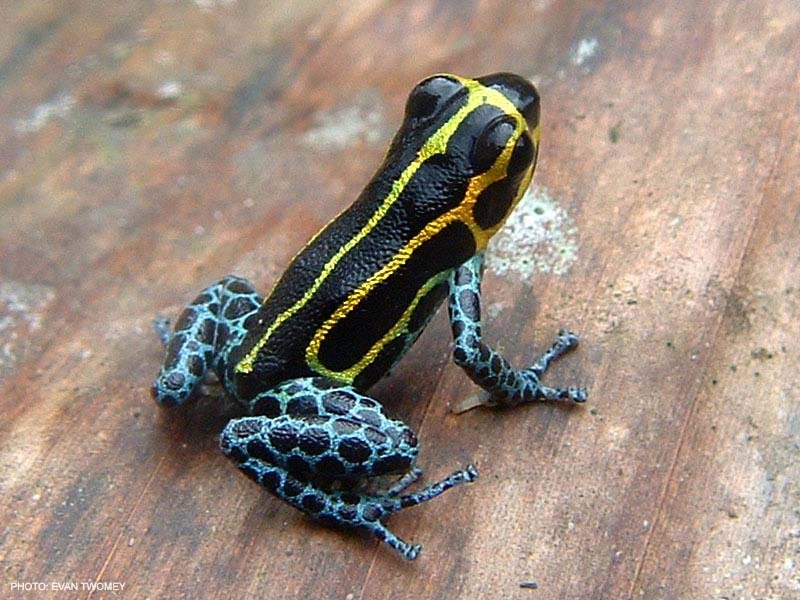 This morph is a mimic of the local striped R. variabilis. 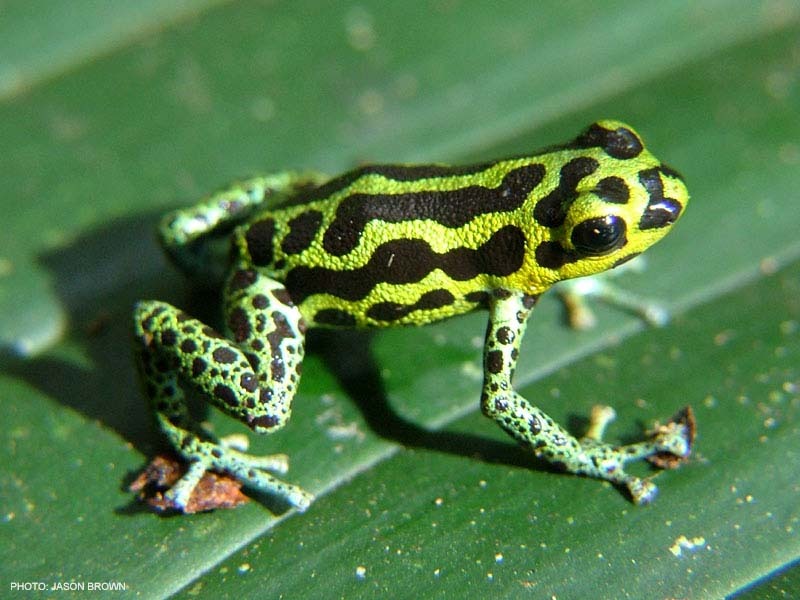 Behaviorally, it similar to the highland imitator, although this morph seems to be more frequently found breeding in Dieffenbachia and Xanthosoma. 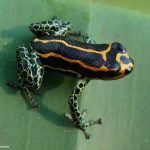 This morph occurs in the highlands of northern San Martin department. 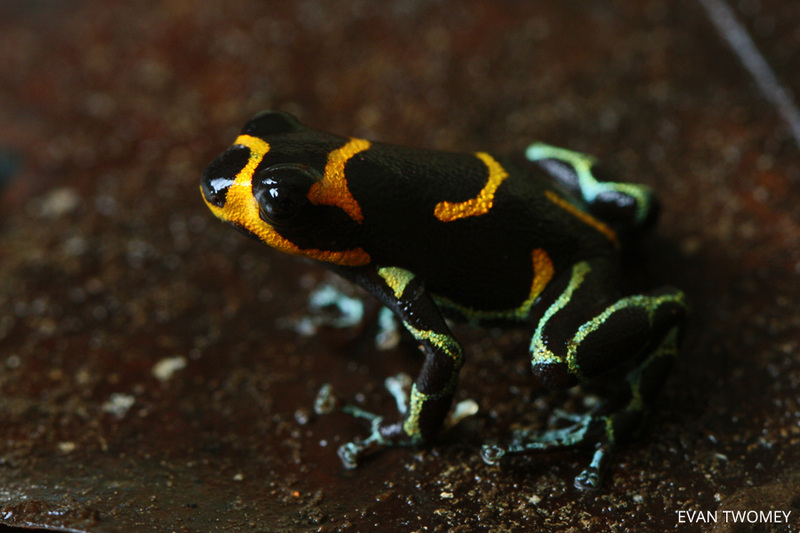 It is highly variable, although typically contains more blue-green colors than other imitator. 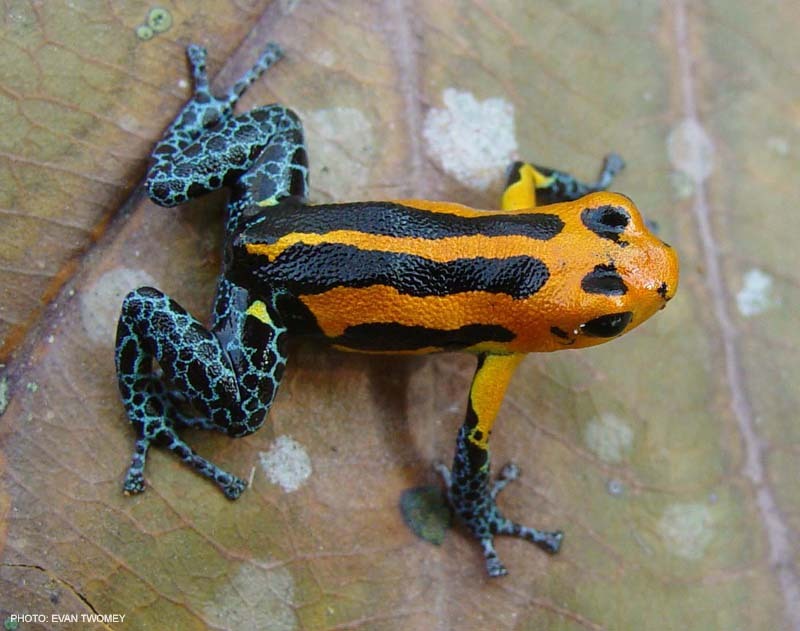 Some populations of this morph are more yellow, for example, those living near the city of Tarapoto. 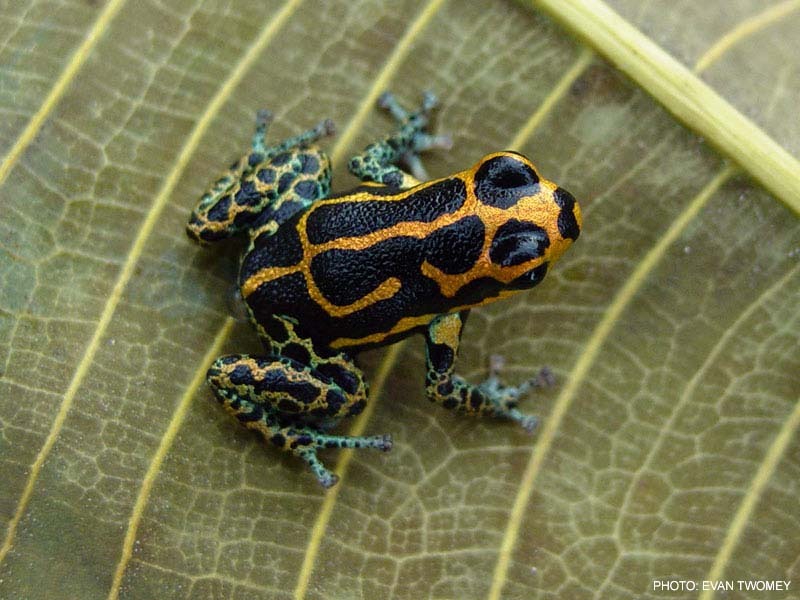 This morph is a Muellerian mimic of the highland spotted R. variabilis. 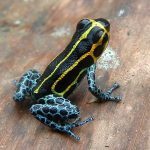 This is another lowland form of imitator, first discovered in 2004 by Craig Greenhalgh on a lowland trek across part of Peru. 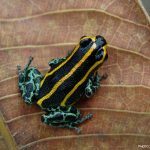 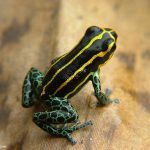 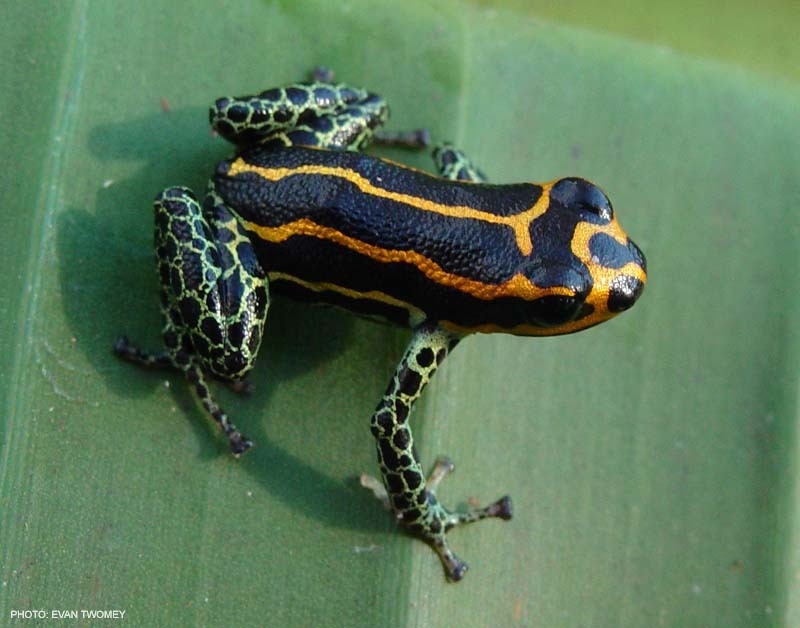 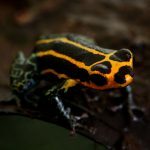 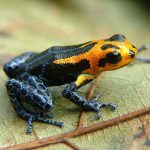 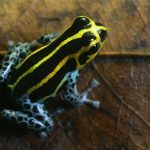 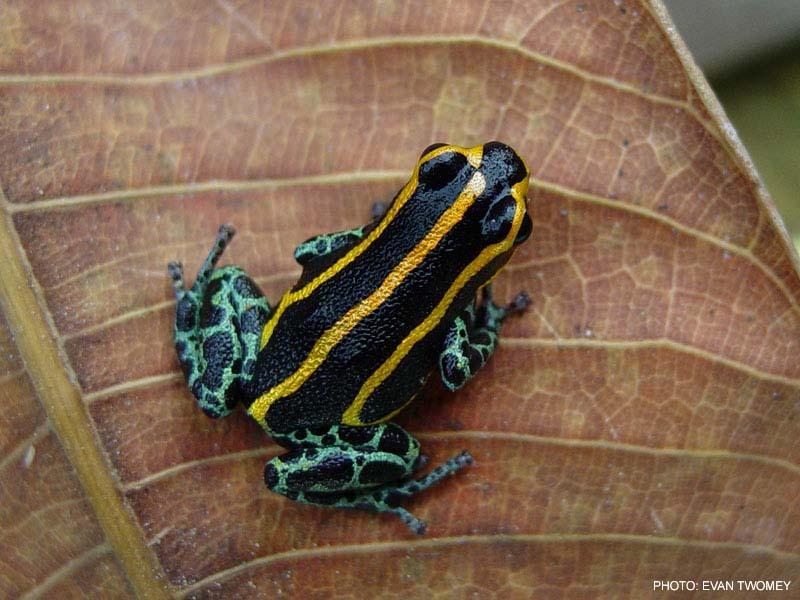 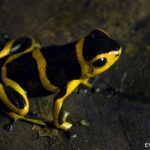 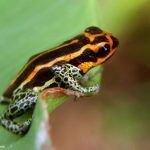 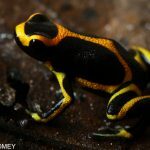 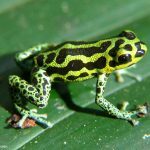 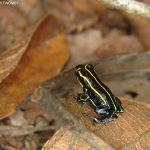 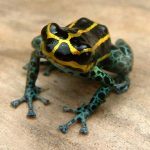 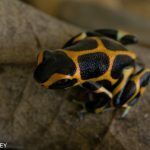 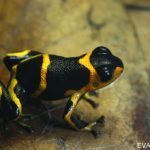 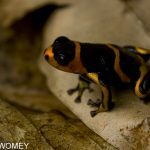 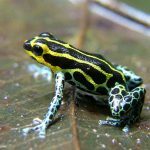 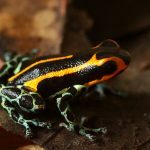 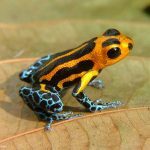 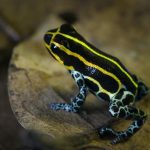 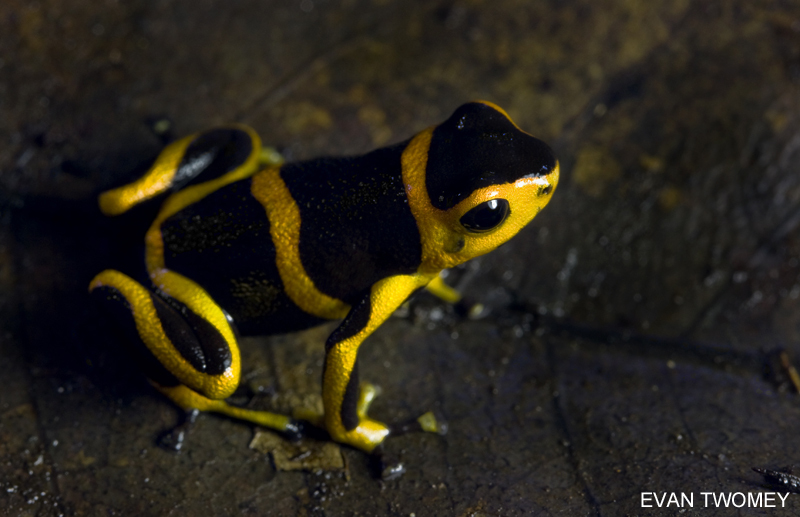 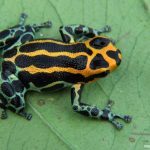 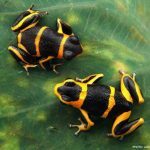 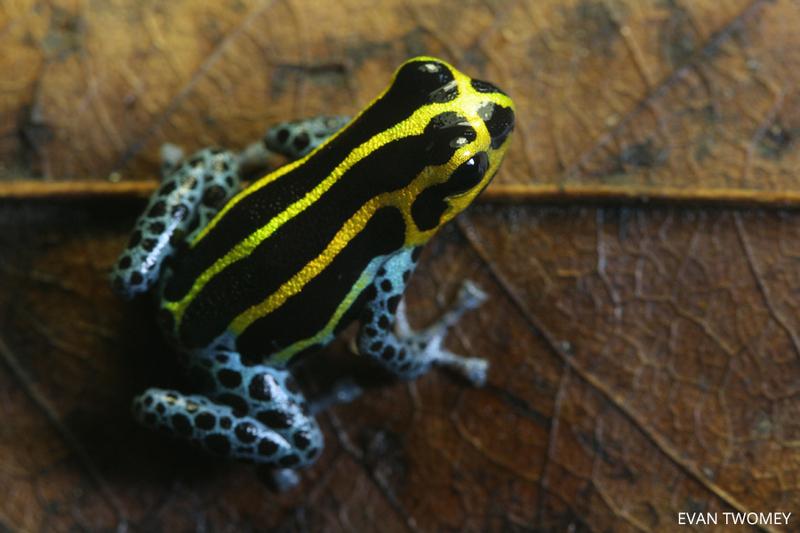 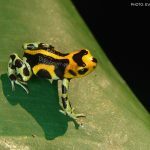 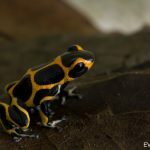 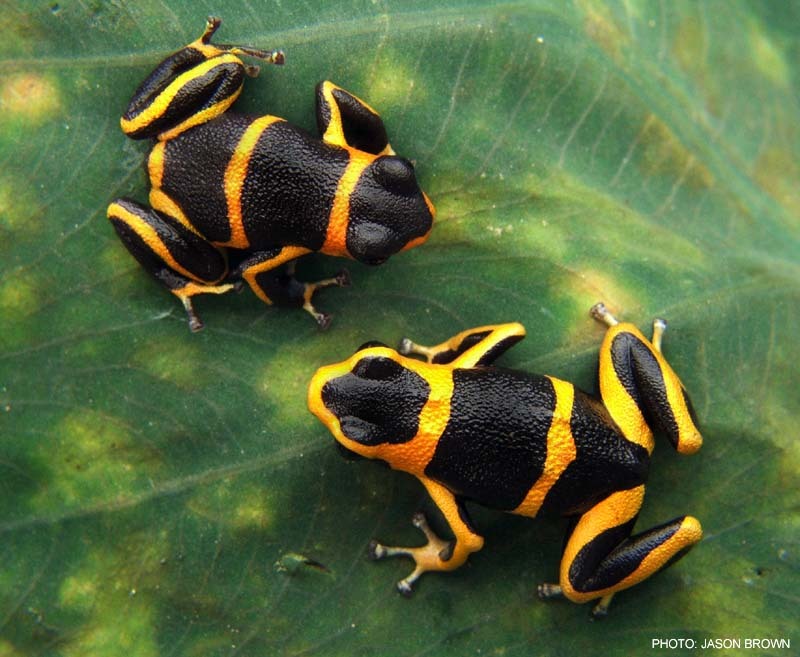 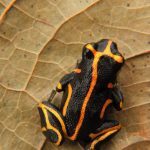 This frog is strange in that it occurs in close proximity to the yellow-striped lowland imitator with no major barriers separating the two morphs. 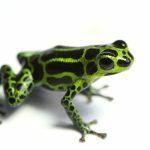 And as is apparent, the two morphs look nothing alike. 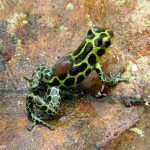 This suggests that the frog has undergone strong local adaptation, either due to mimicry, sexual selection, or a combination of the two. 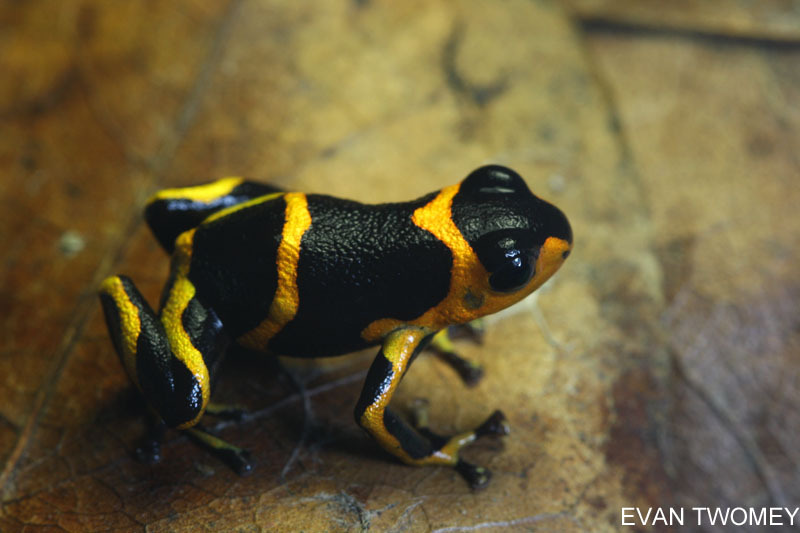 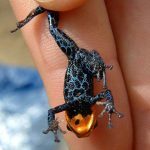 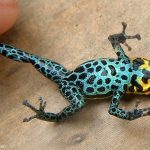 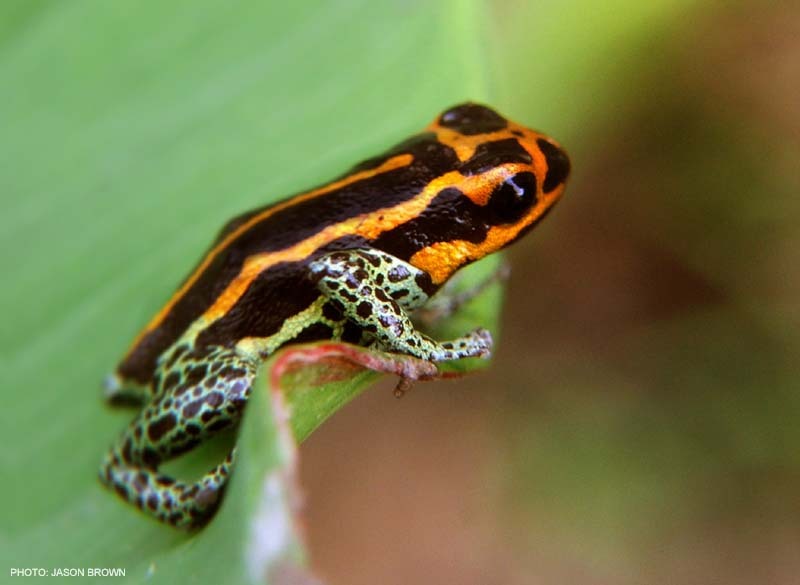 In 2005 we were able to find this frog in very high densities in old secondary/young primary forest breeding in some sort of Heliconia, as well as in tree-holes. 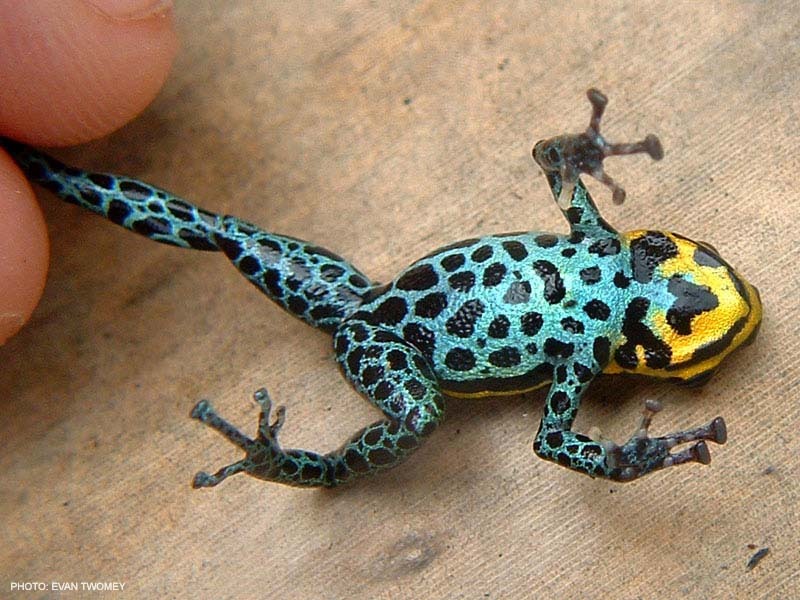 This morph was heavily smuggled from 2006 to present, although it is now legally available through imports from Understory Enterprises. 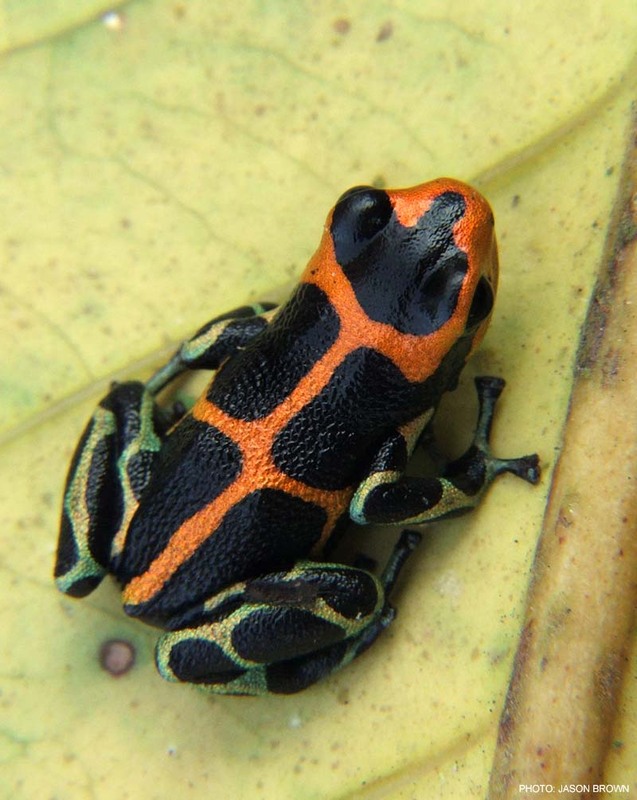 This morph appears to be a mimic of the varadero fantastica morph. 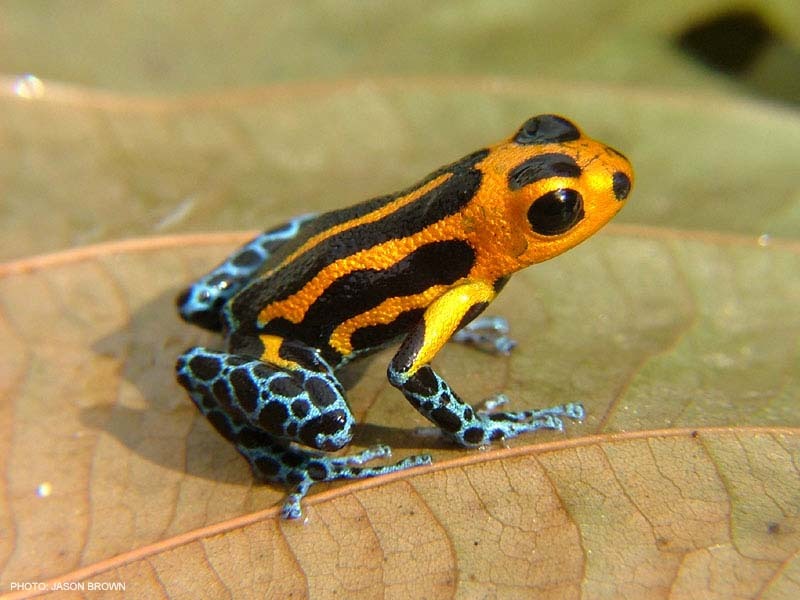 This morph occurs in the middle Huallaga and tends to inhabit areas that are somewhat drier than many imitator habitats. 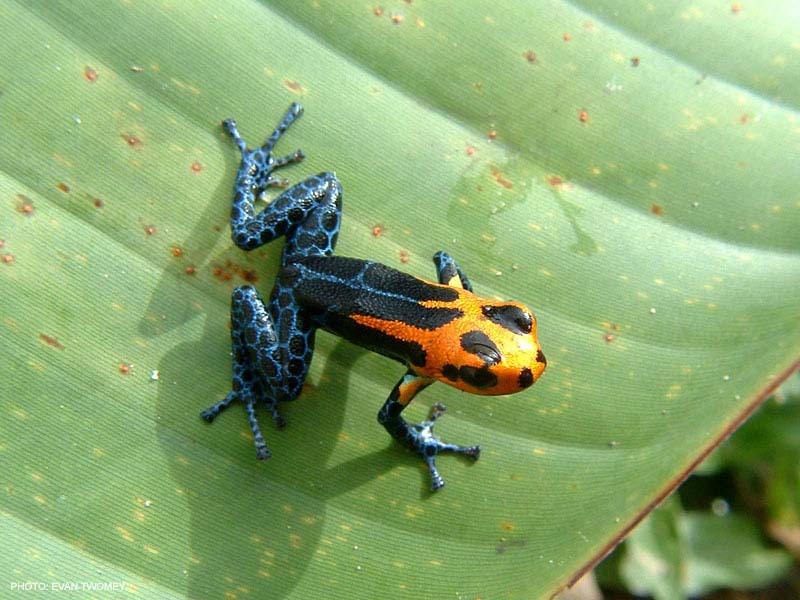 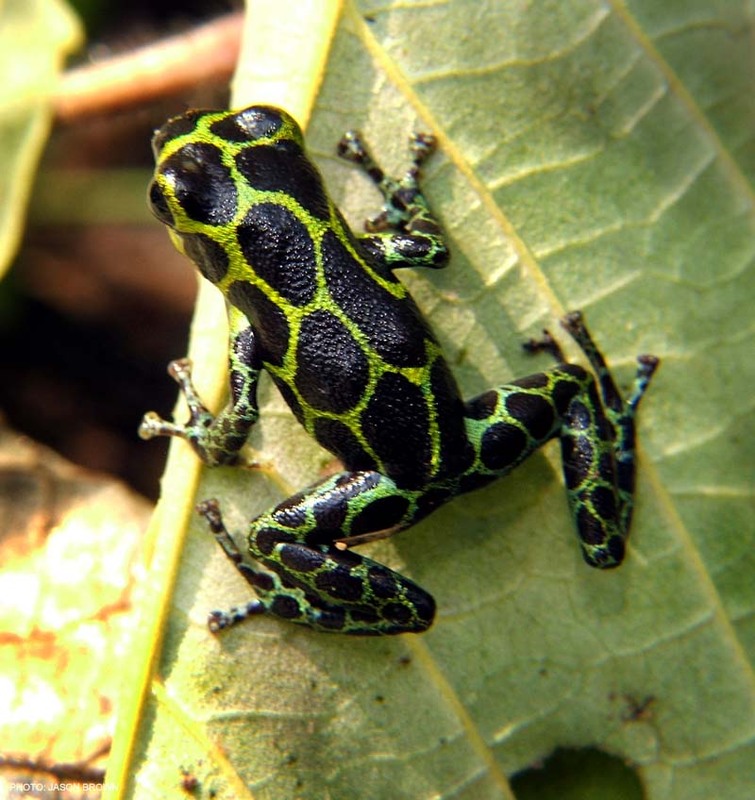 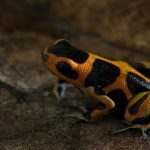 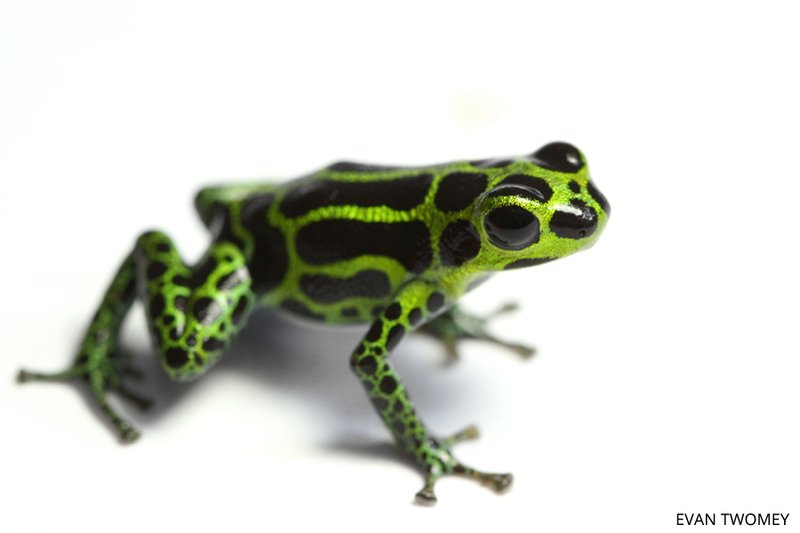 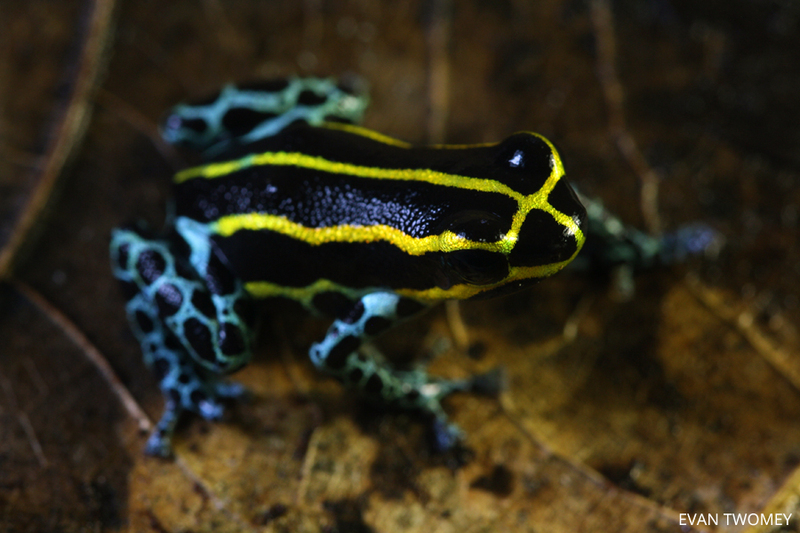 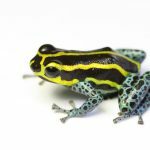 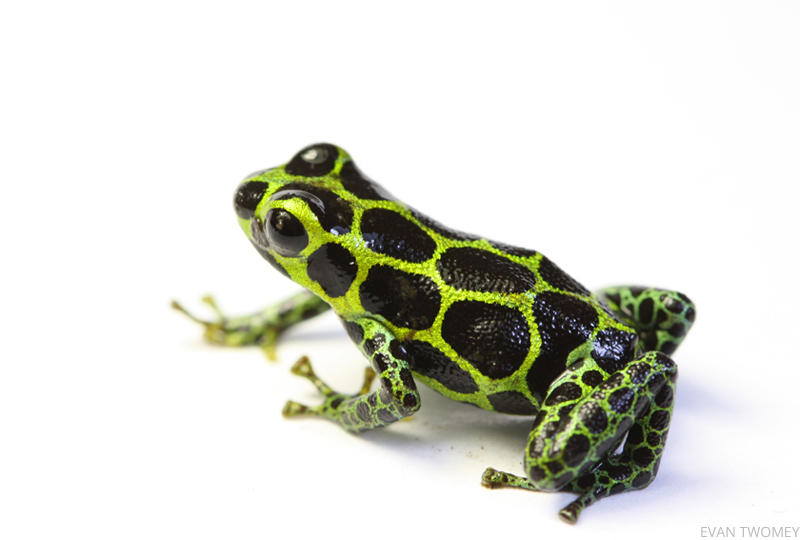 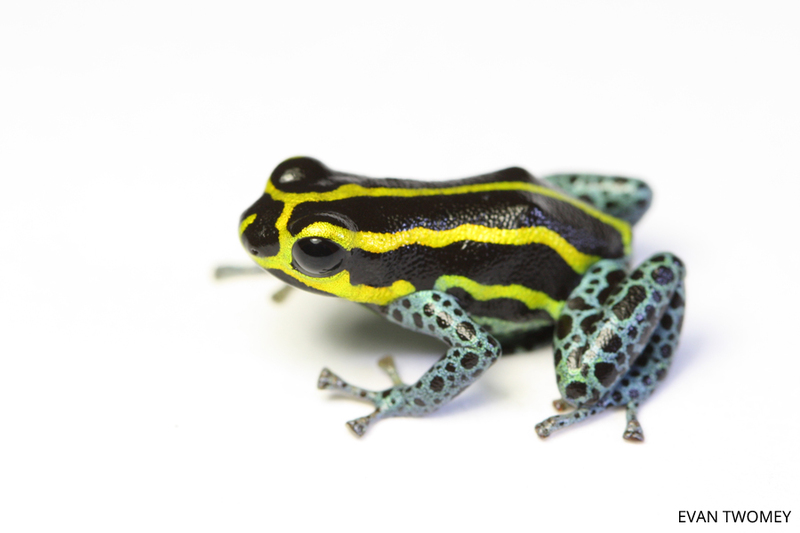 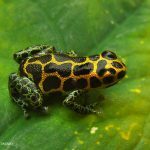 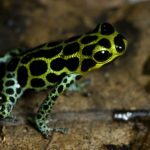 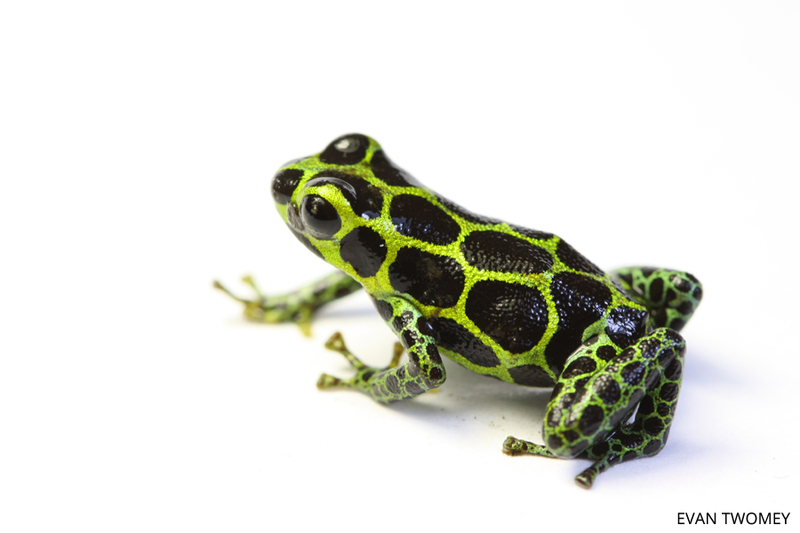 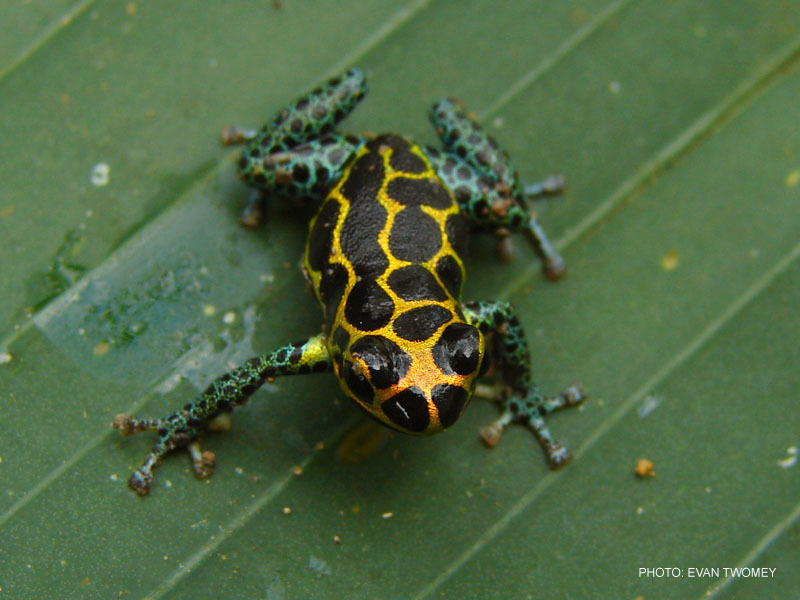 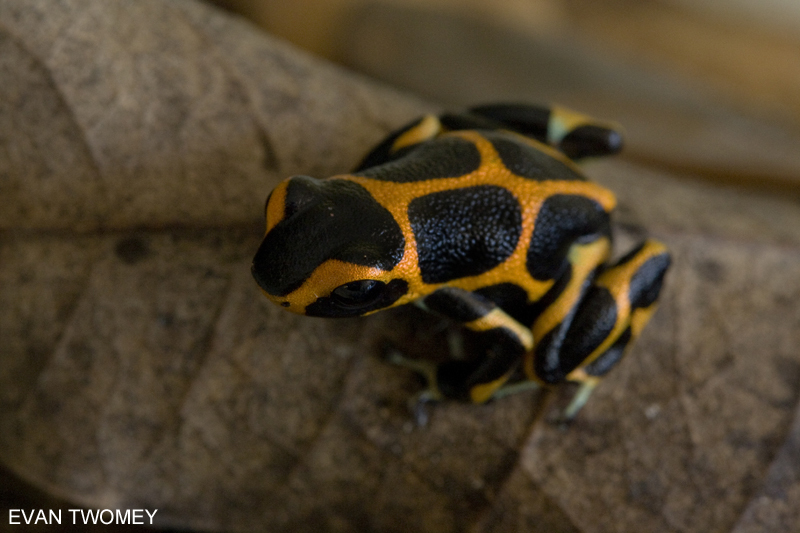 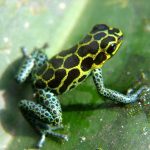 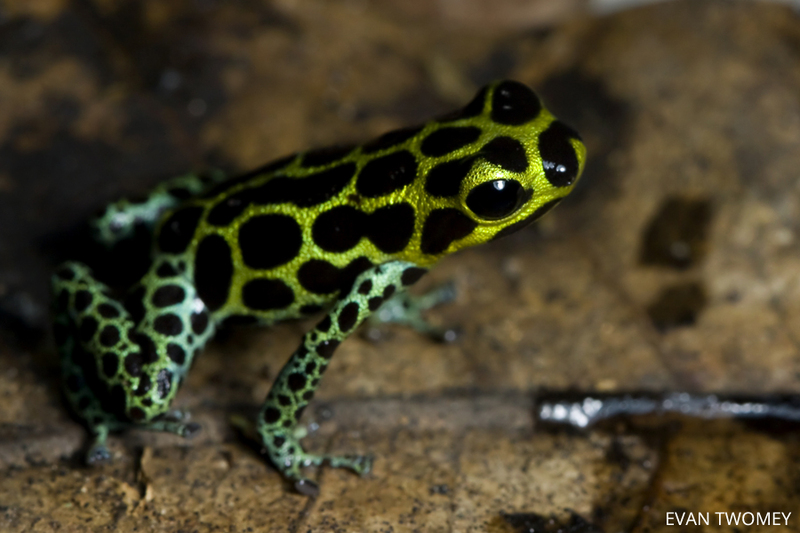 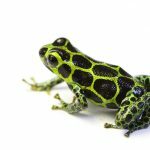 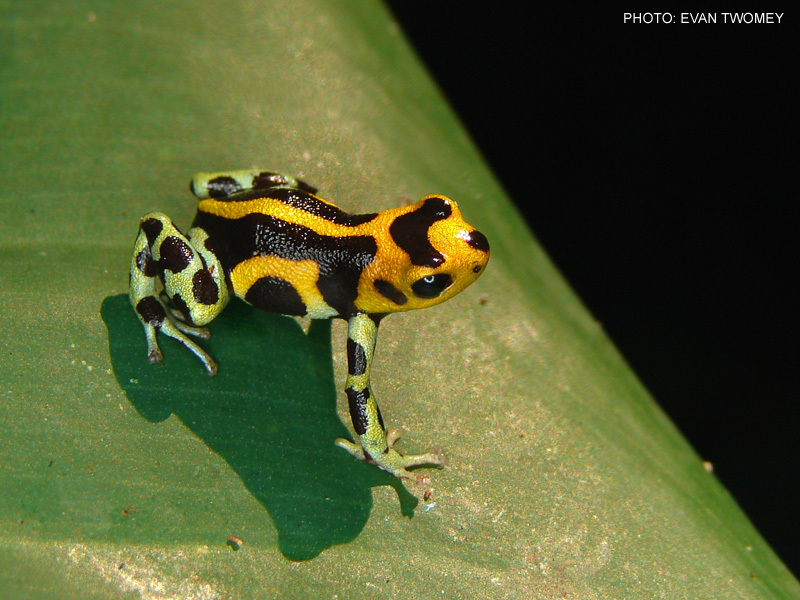 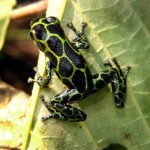 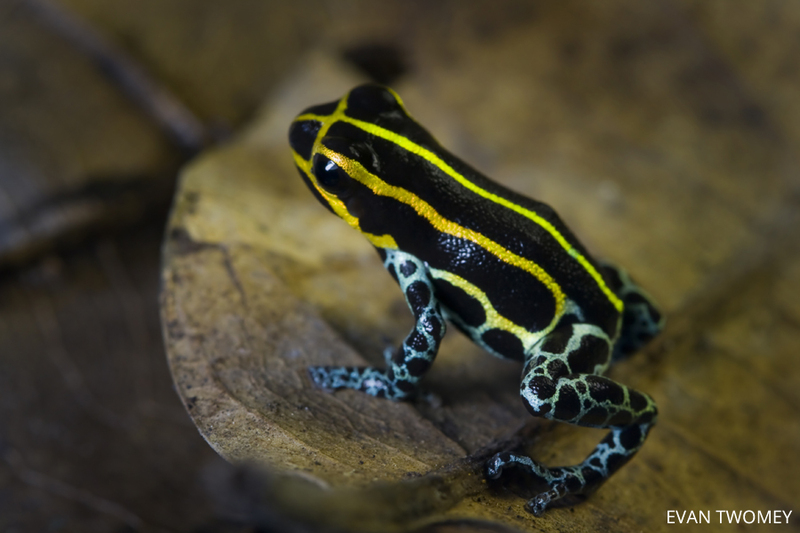 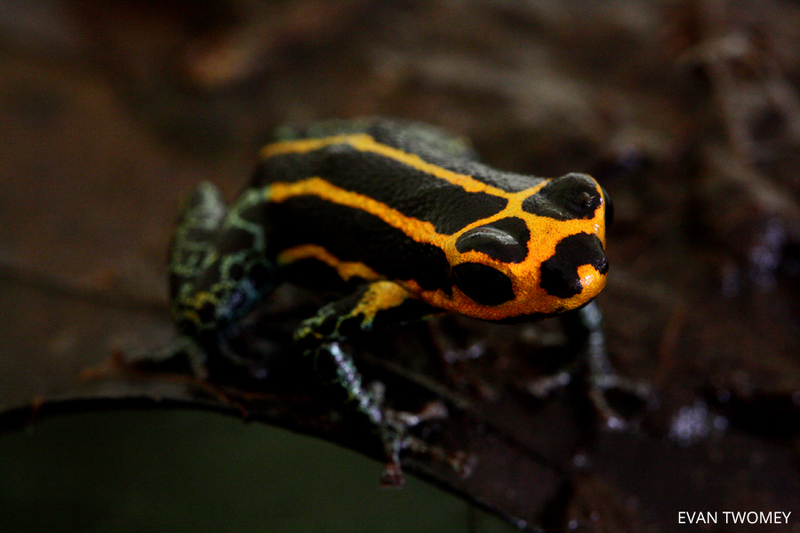 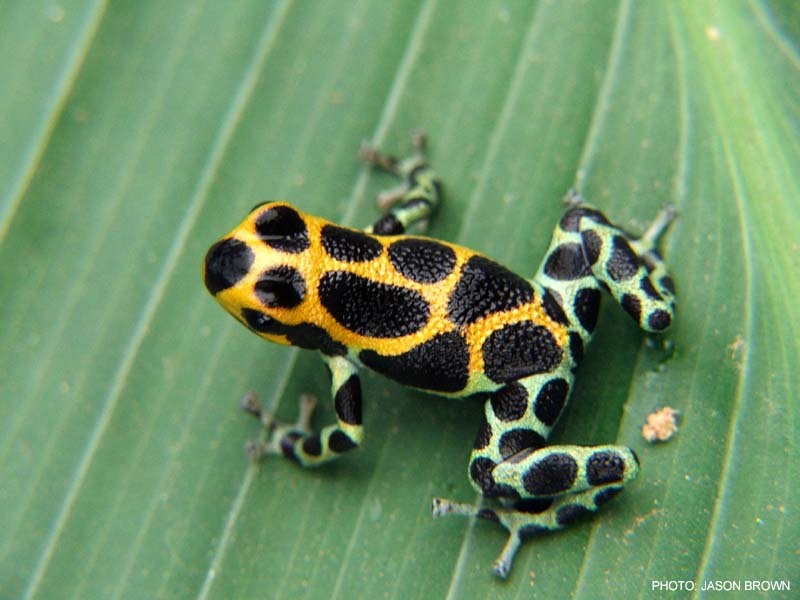 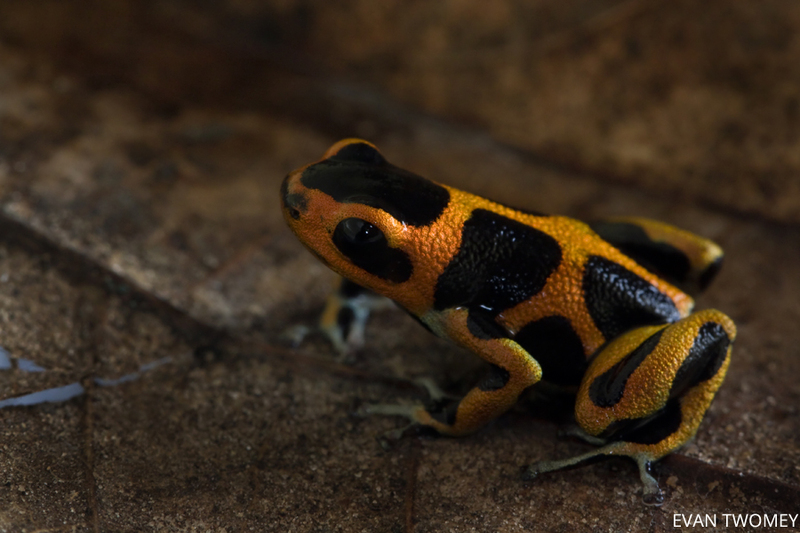 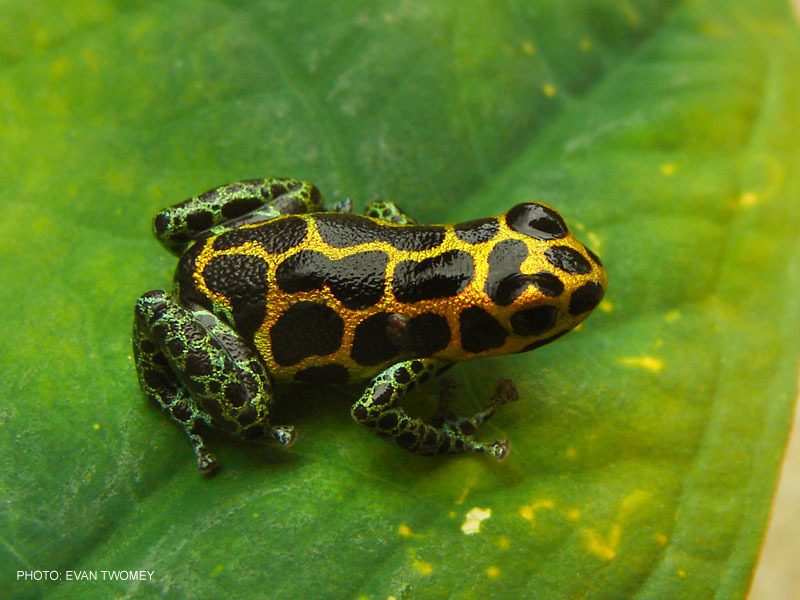 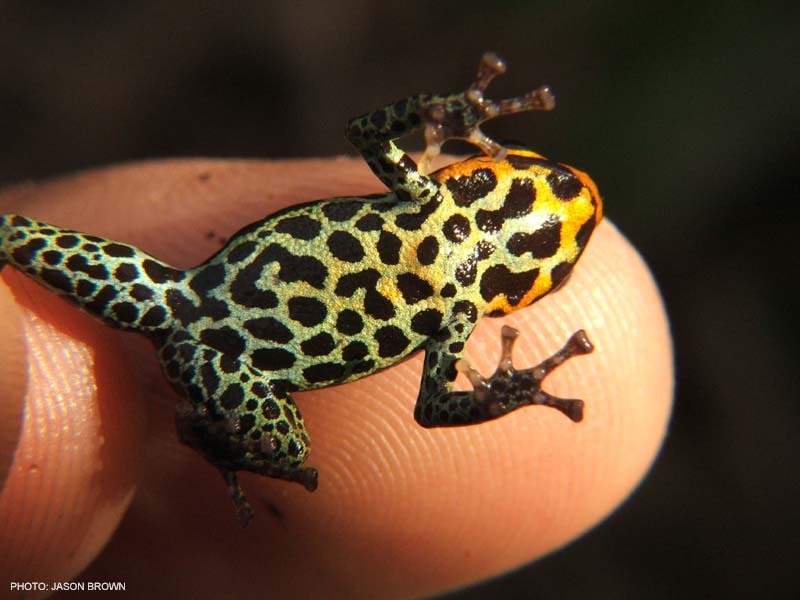 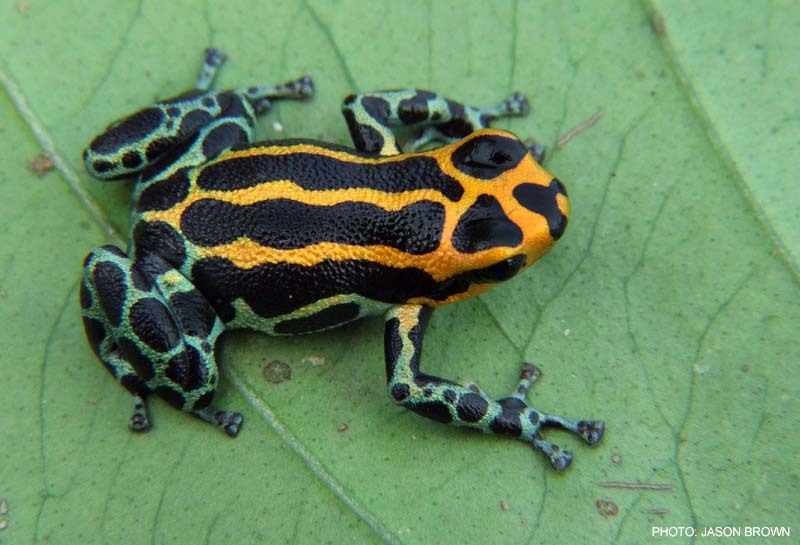 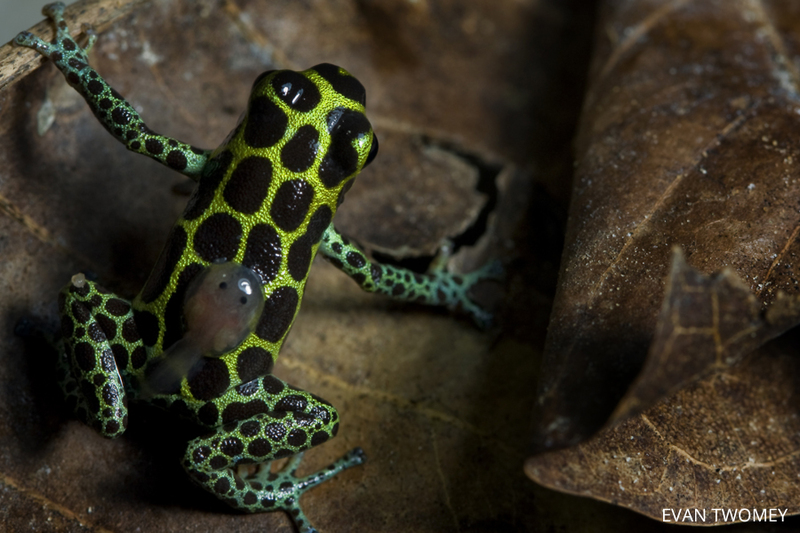 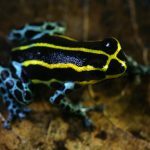 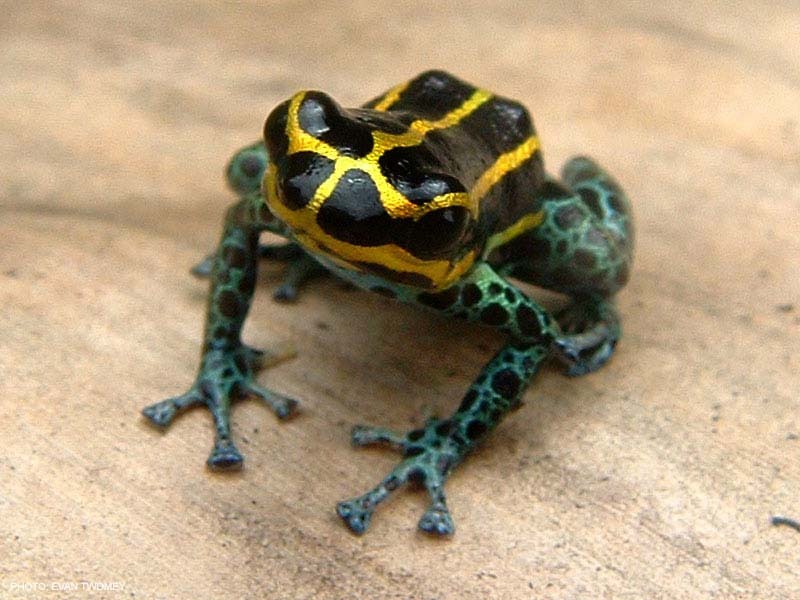 Most frequently these frogs are found in Dieffenbachia and Heliconia plants. 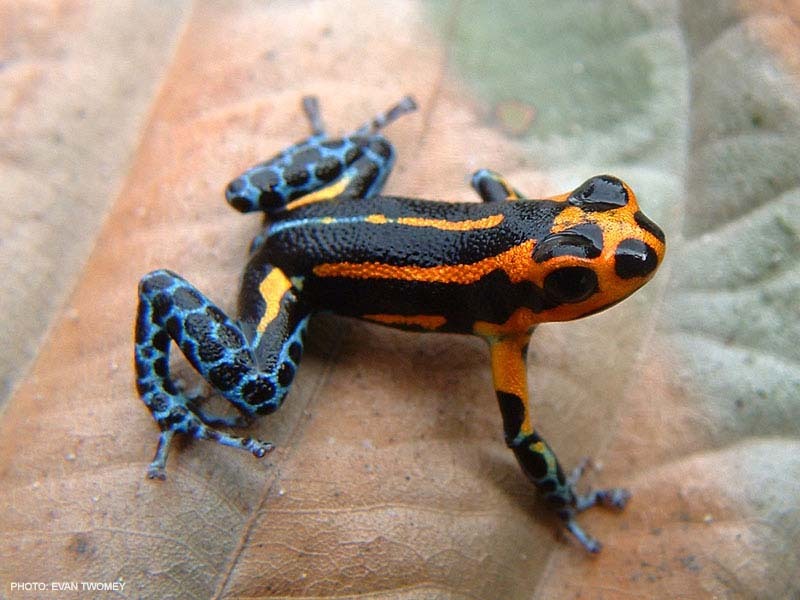 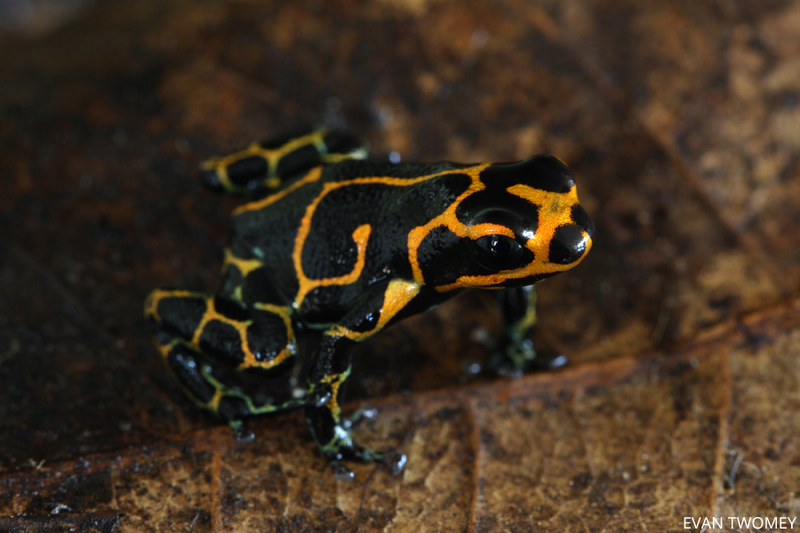 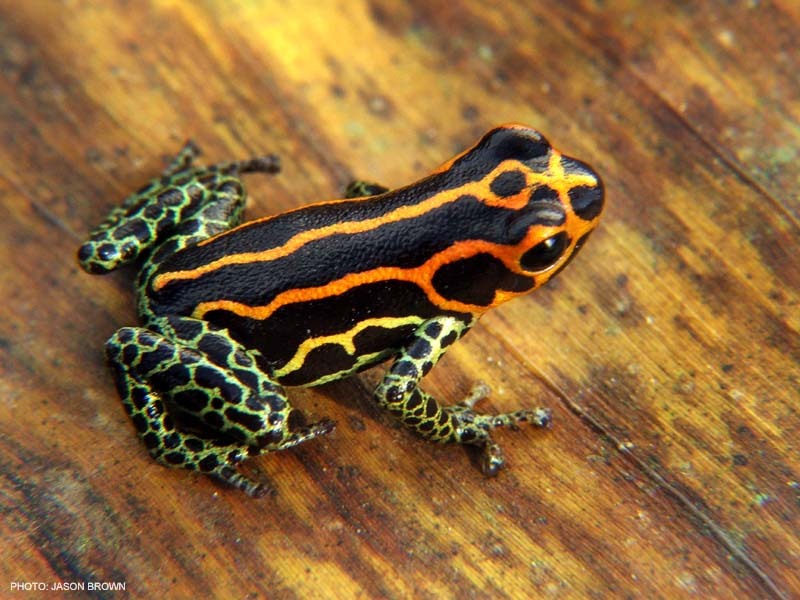 This morph is a mimic of Ranitomeya summersi. 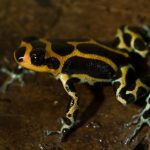 The Huallaga Canyon is an approximately 40-km stretch of river running from the town of Chazuta downriver to the Amazonian lowlands. 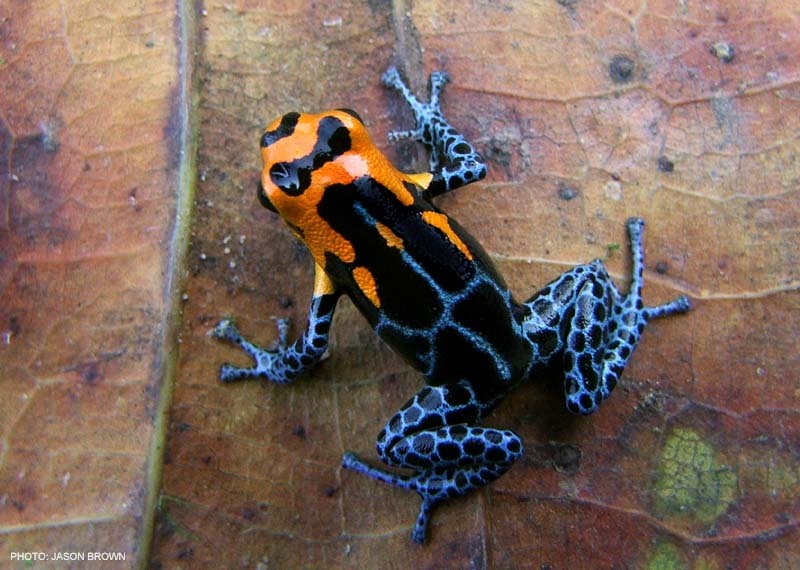 Within this area, R. imitator is highly polymorphic. 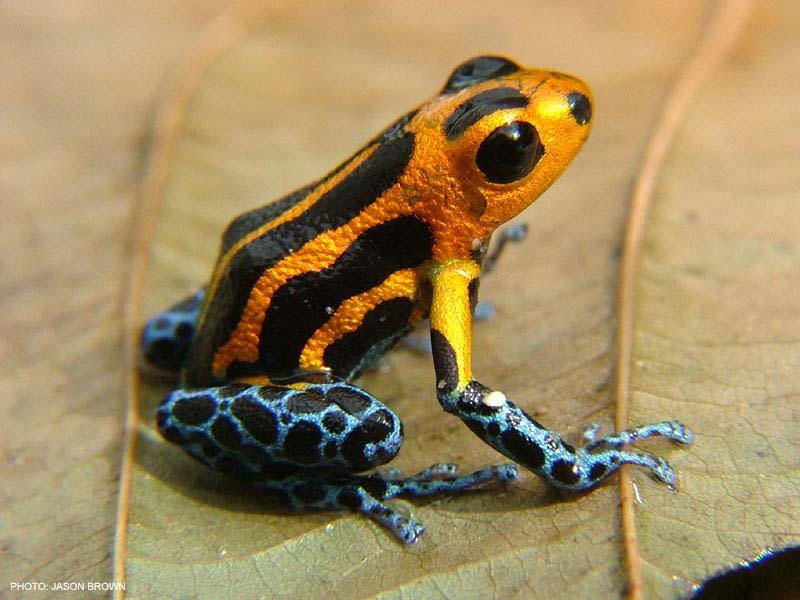 In the upper areas, closer to Chazuta, most frogs are the typical banded morph, mimetic with R. summersi. 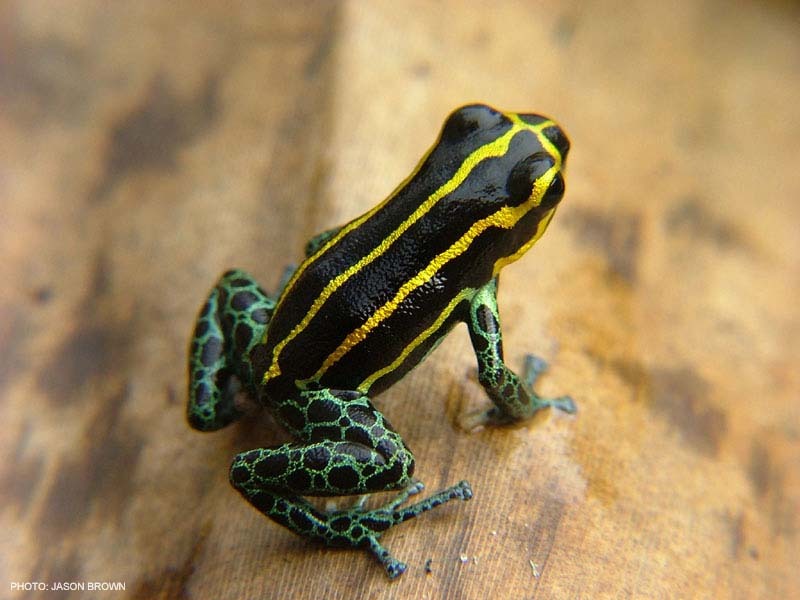 In the lower parts of the canyon, the frogs are striped and resemble the lowland morph of R. variabilis. 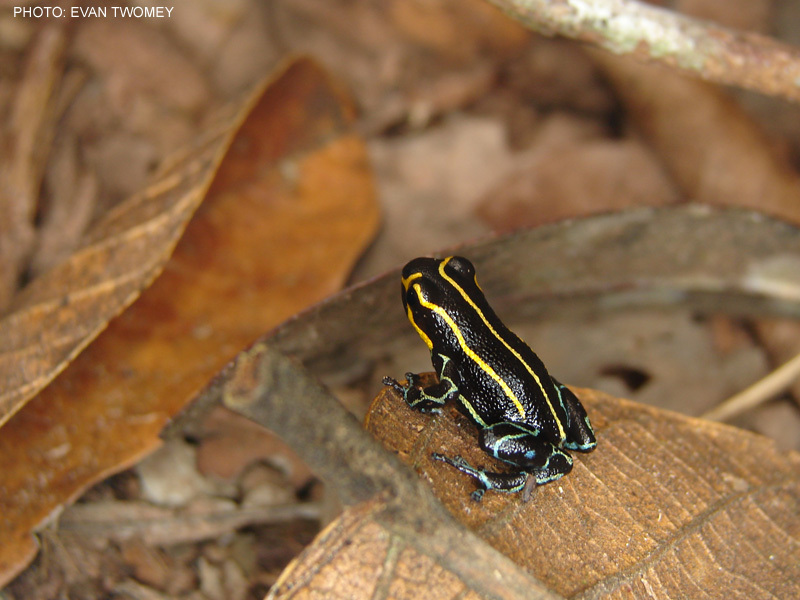 The middle regions of the Huallaga Canyon are a natural “hybrid zone” between the banded and striped morphs. 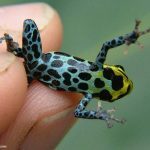 In certain localities in the center of the hybrid zone, one can find practically any morph imaginable, including the “pure” mimetic morphs. 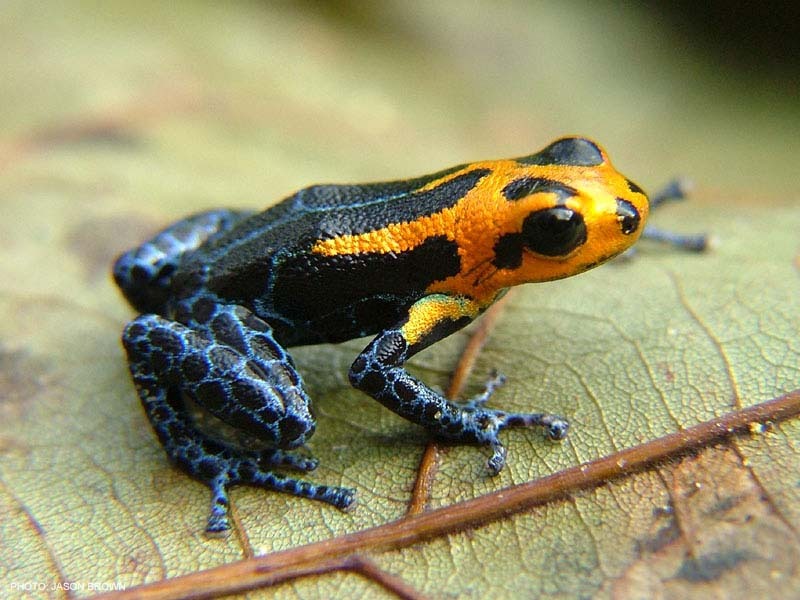 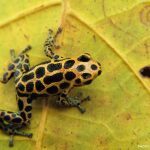 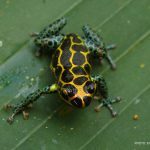 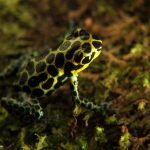 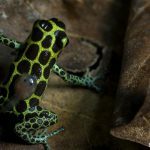 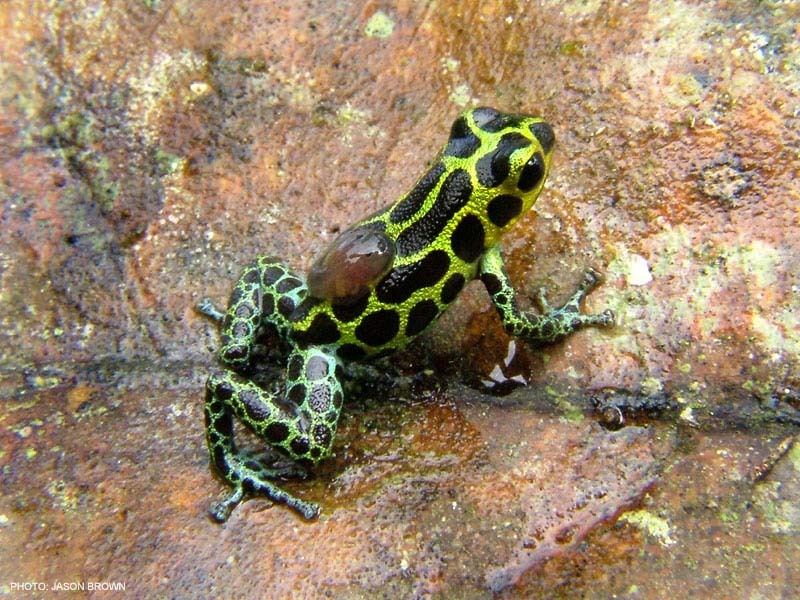 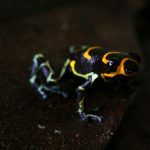 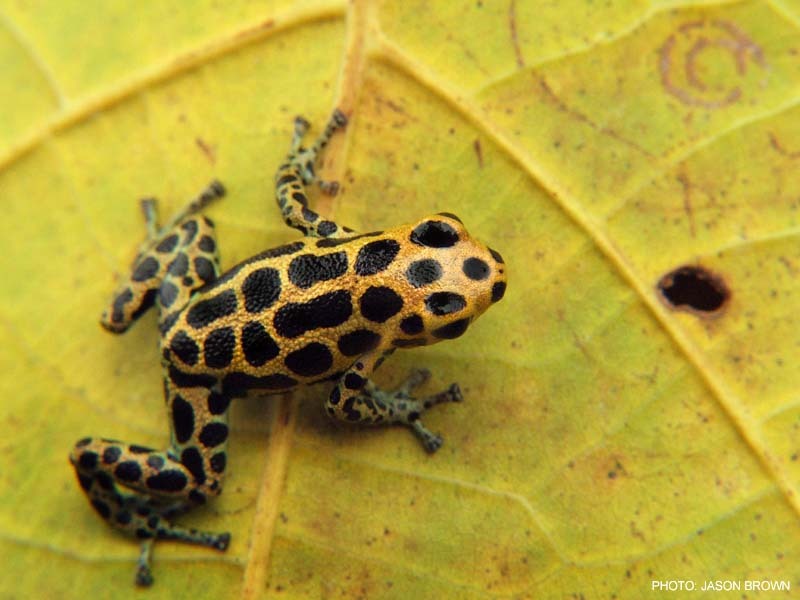 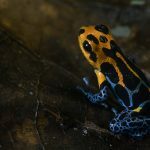 Along the north bank of the Huallaga, for example near Chazuta, frogs often appear somewhat spotted, perhaps due to gene flow from the spotted morph in the neighboring highlands.